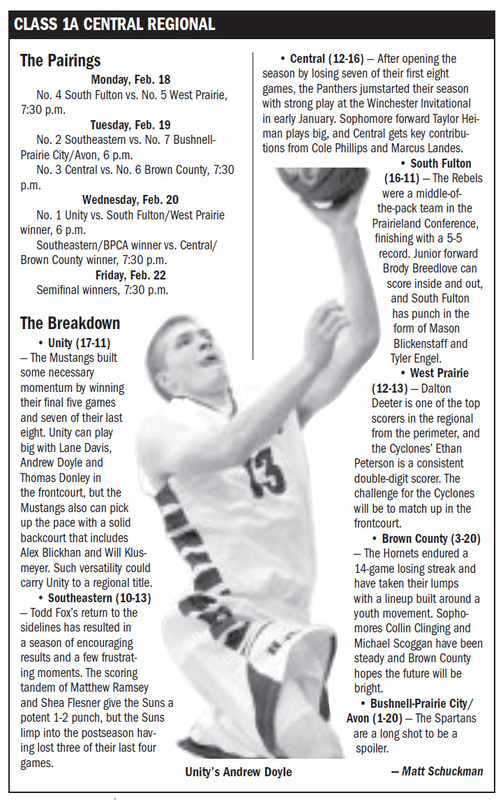 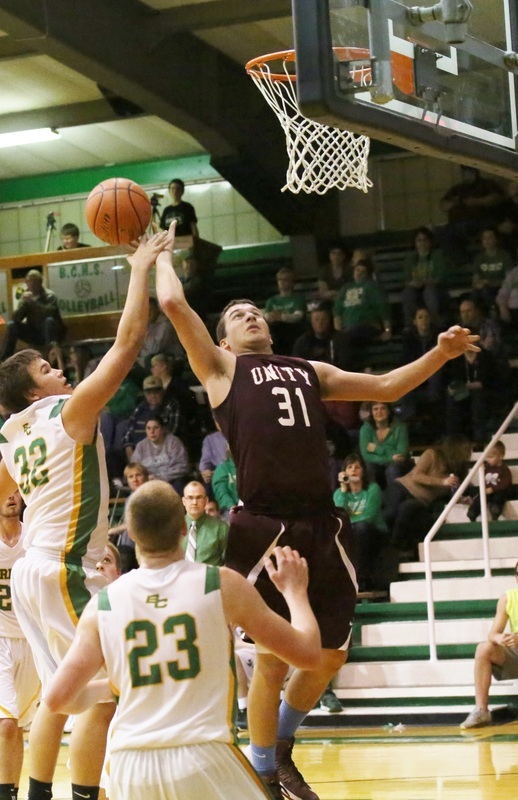 The top four seeds from the regionals feeding into Class 1A Brown County Sectional — including the Wethersfield Flying Geese — take aim at a berth in the Elite 8 this week in Mt. 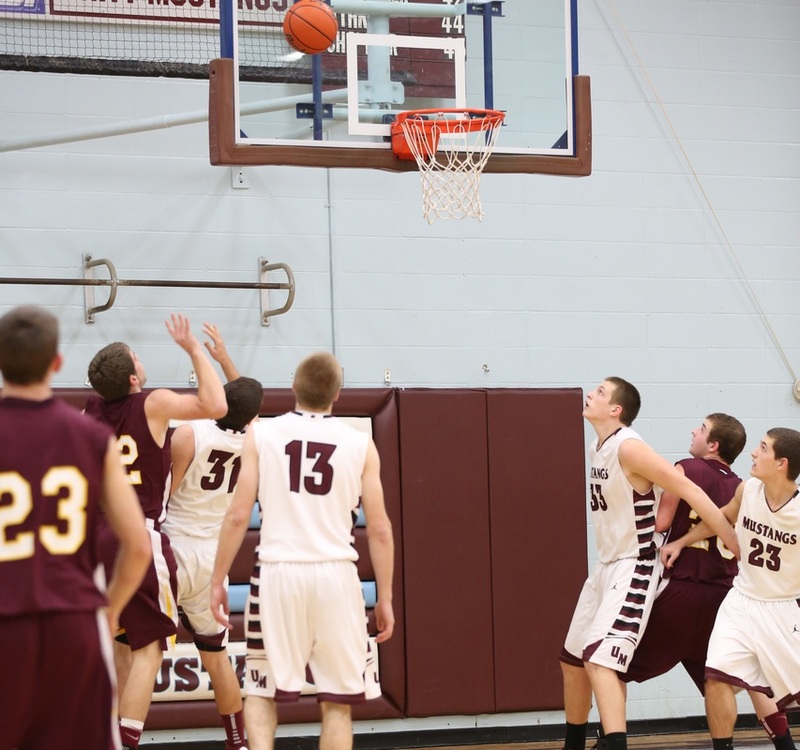 Sterling. 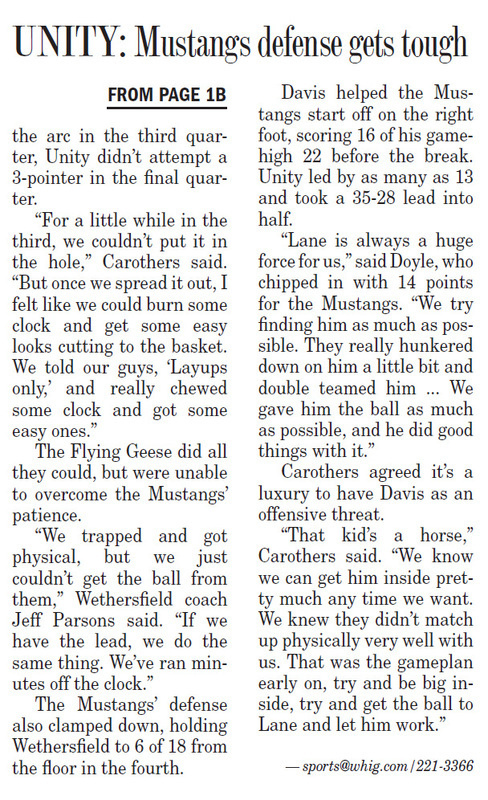 The Geese captured their first regional title since 2008 with Friday night's 63-41 win over co-op partner Annawan at Oneida. 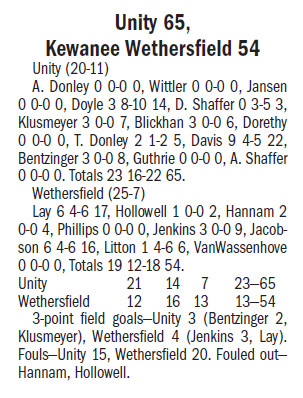 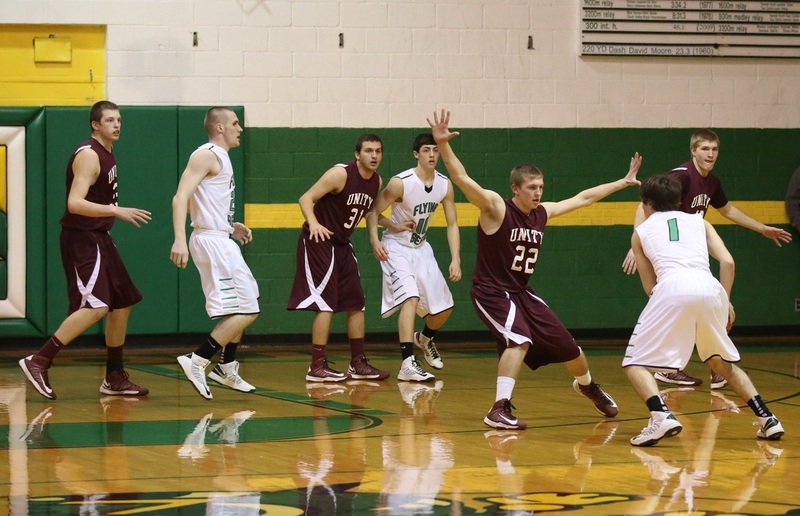 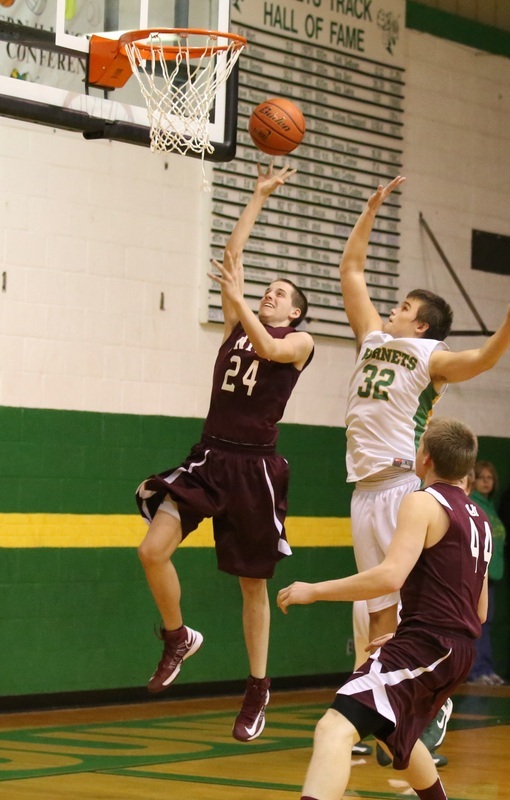 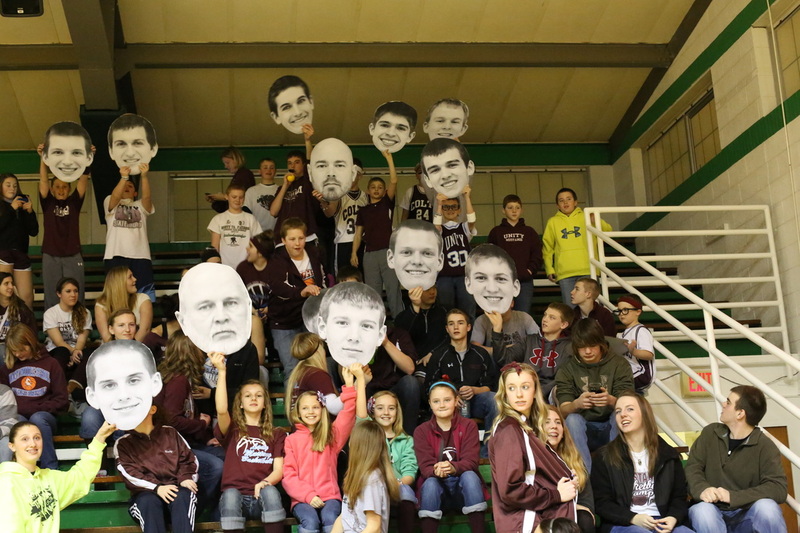 Trevor Lay paced Wethersfield with 18 points in the win, while Tyler Litton added 16 for the 25-6 Geese. 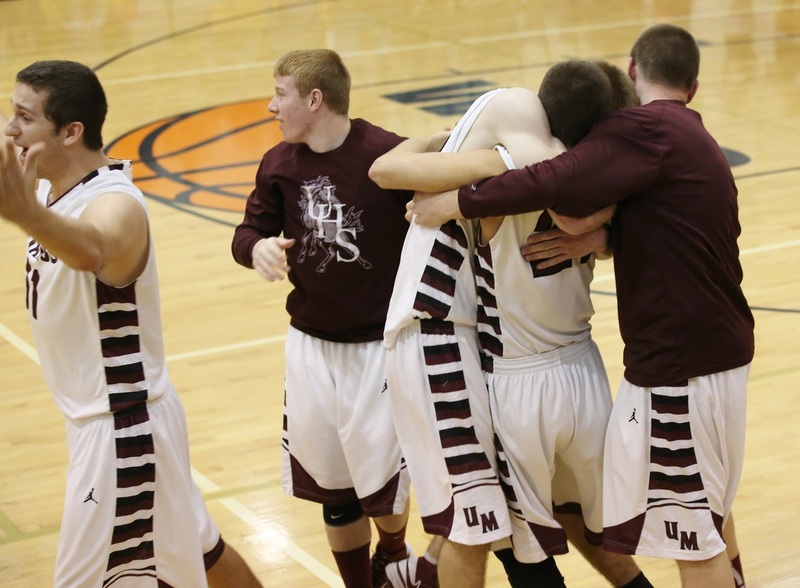 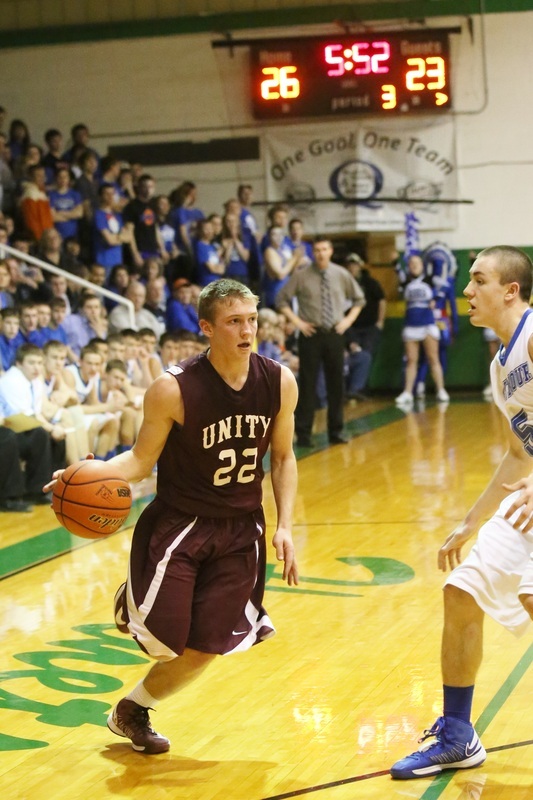 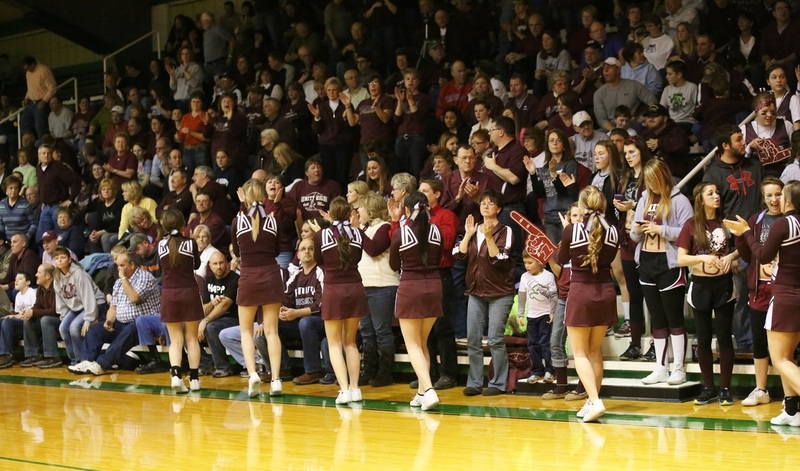 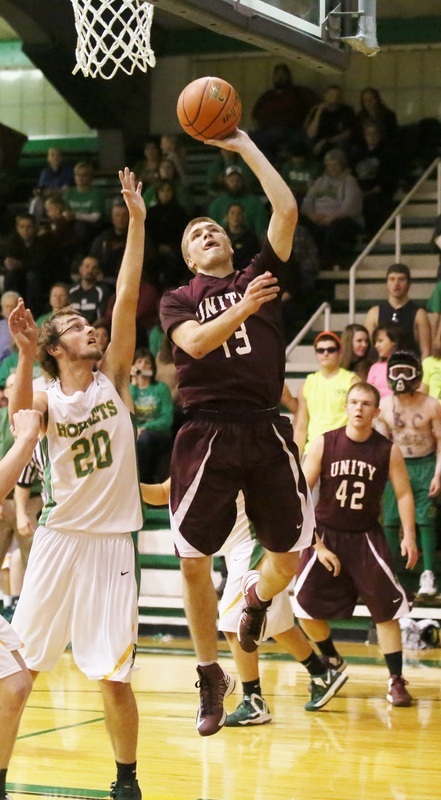 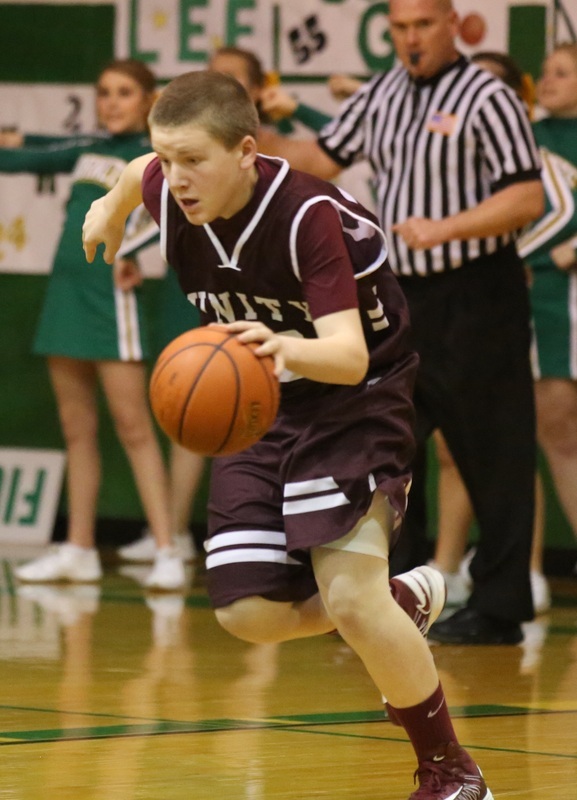 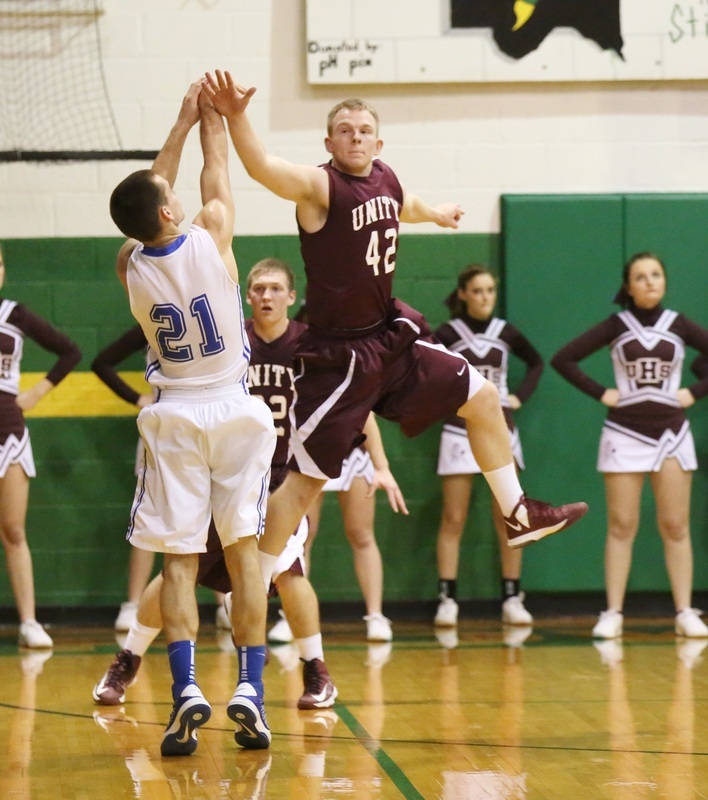 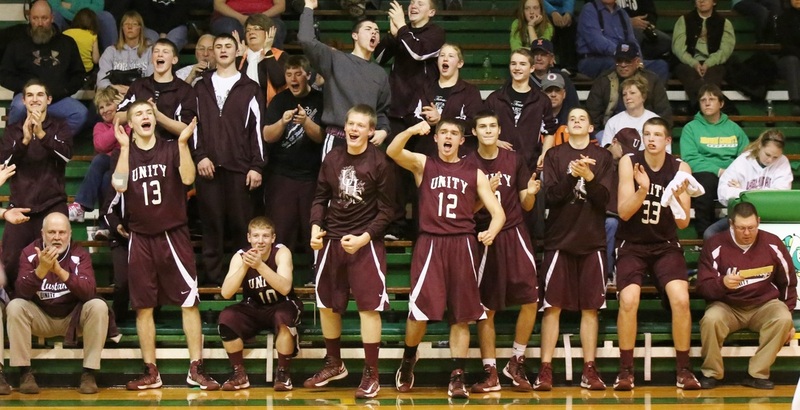 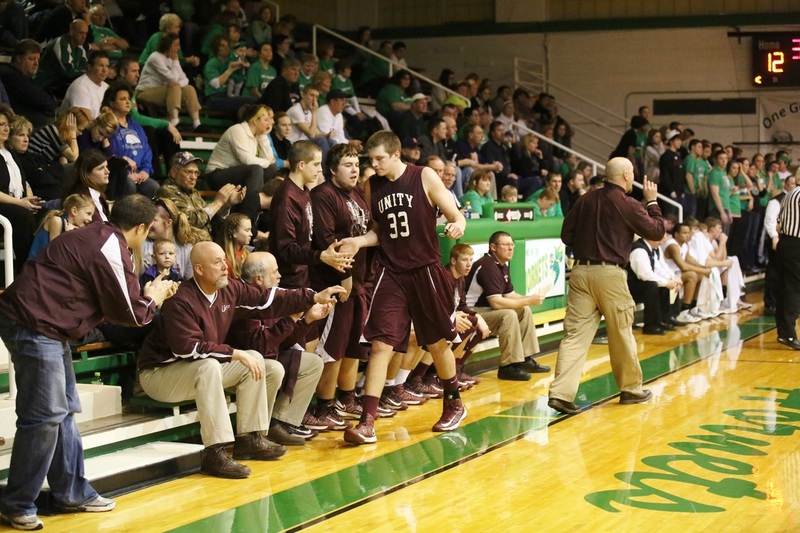 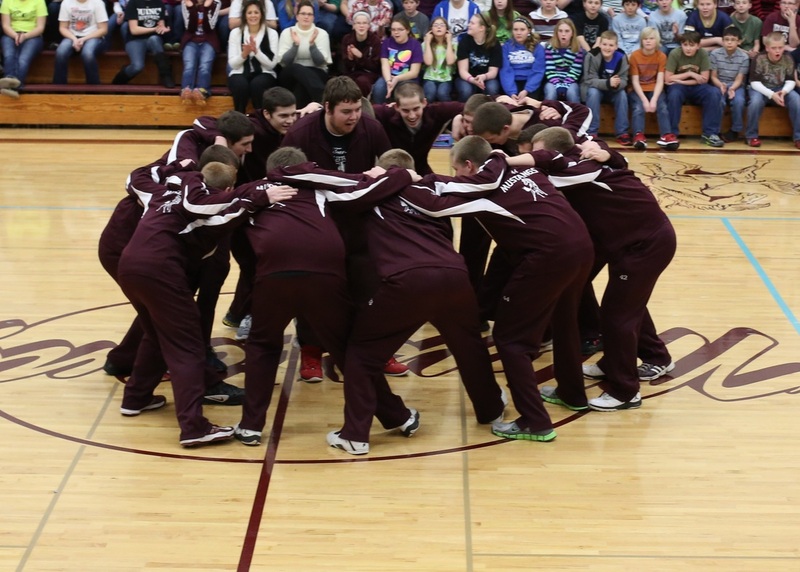 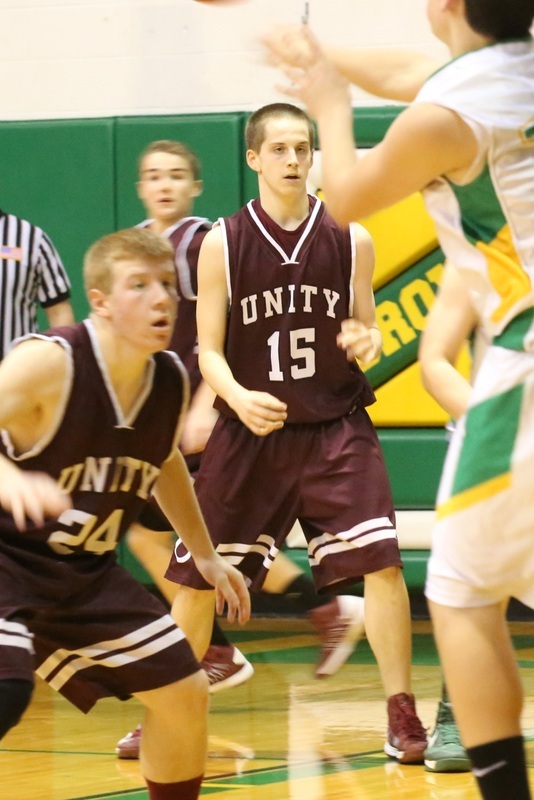 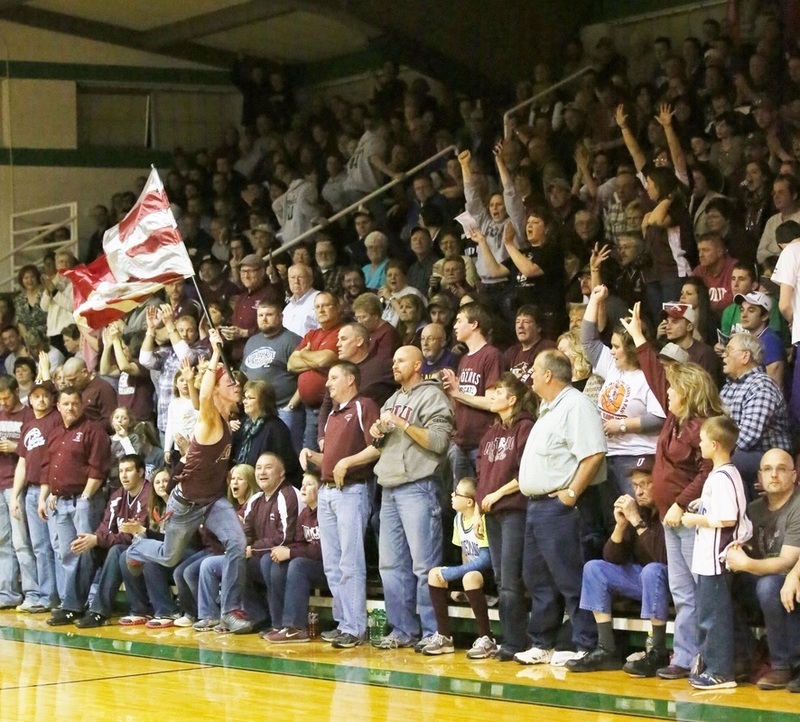 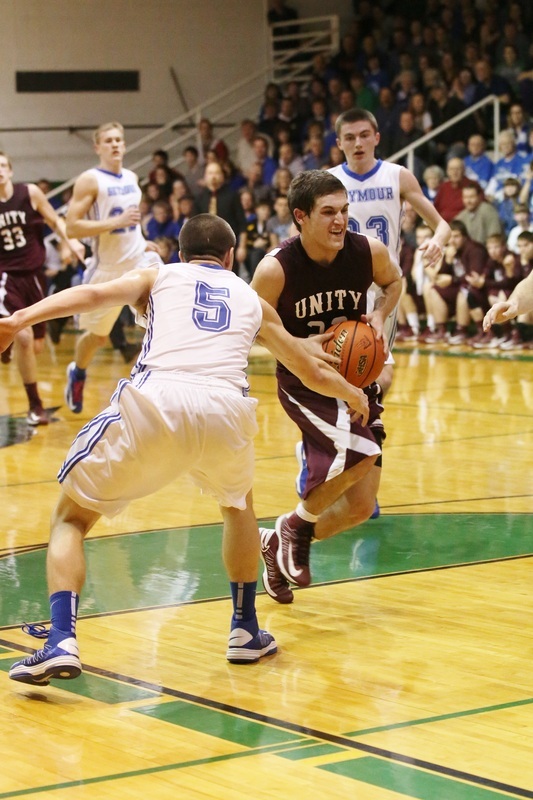 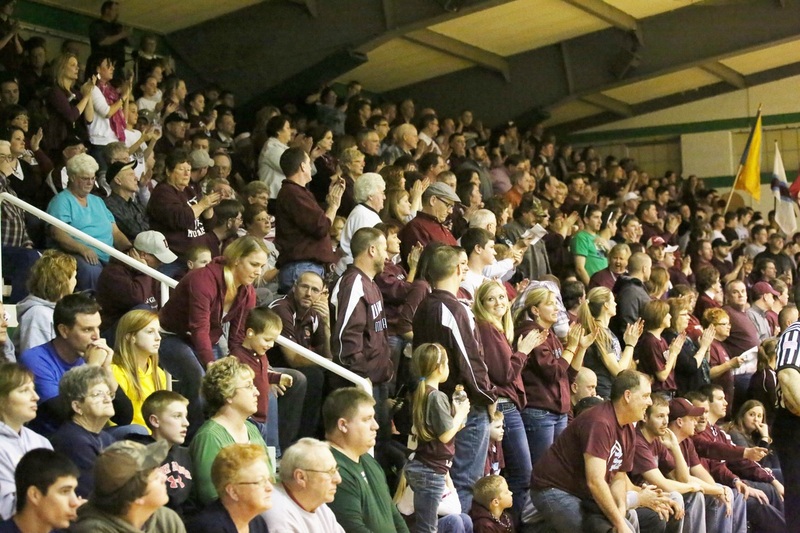 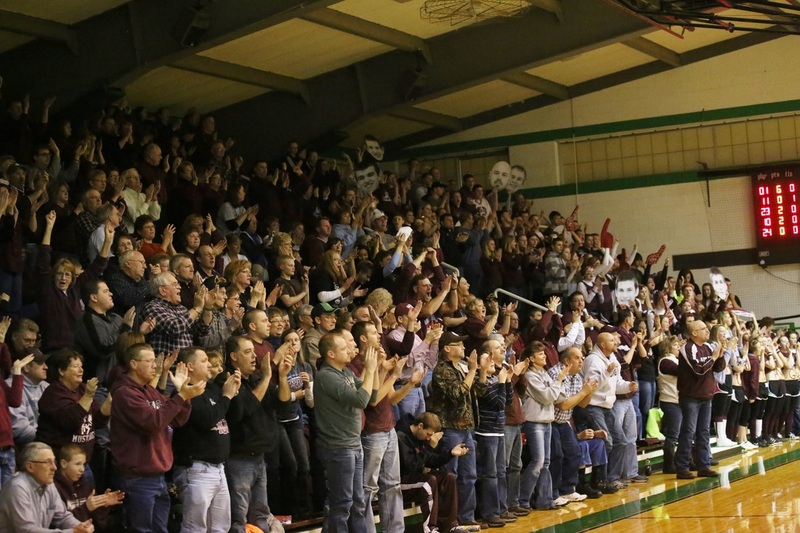 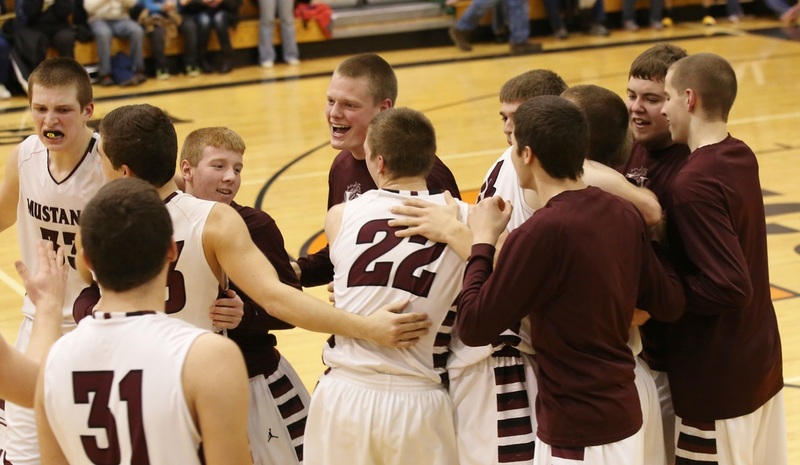 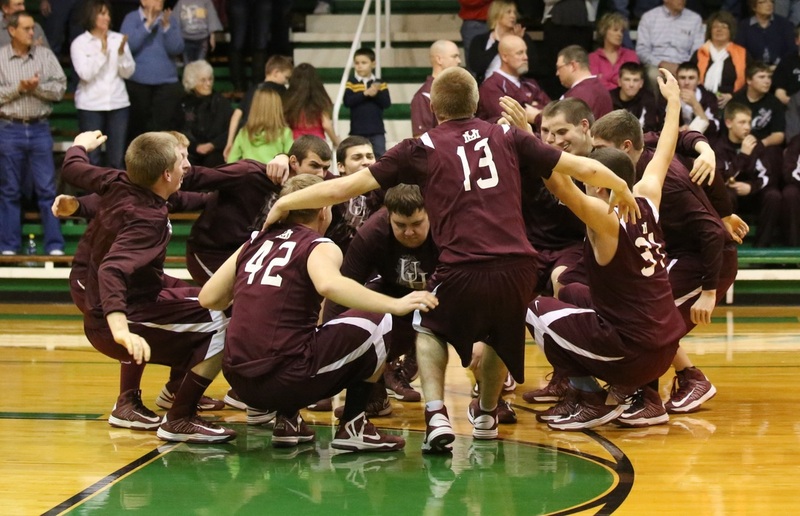 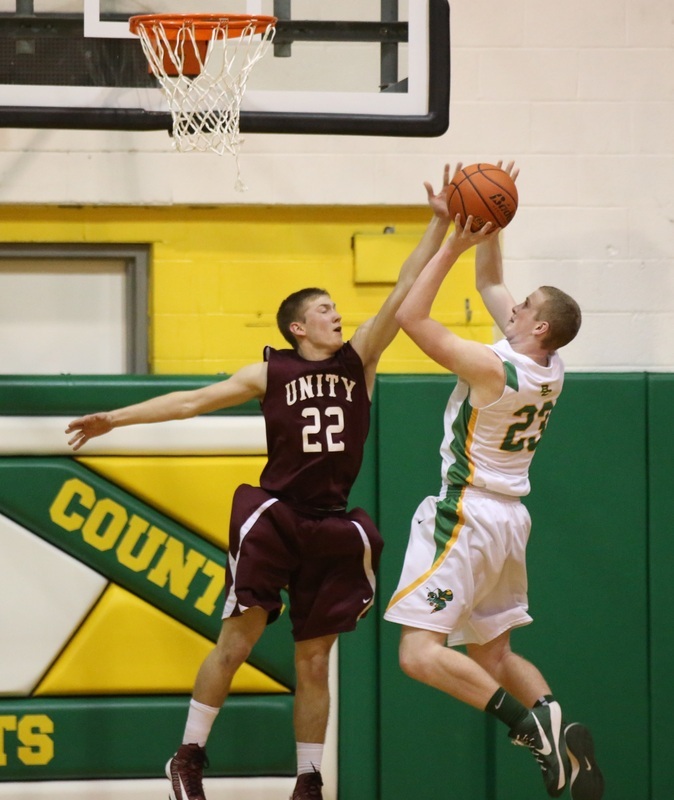 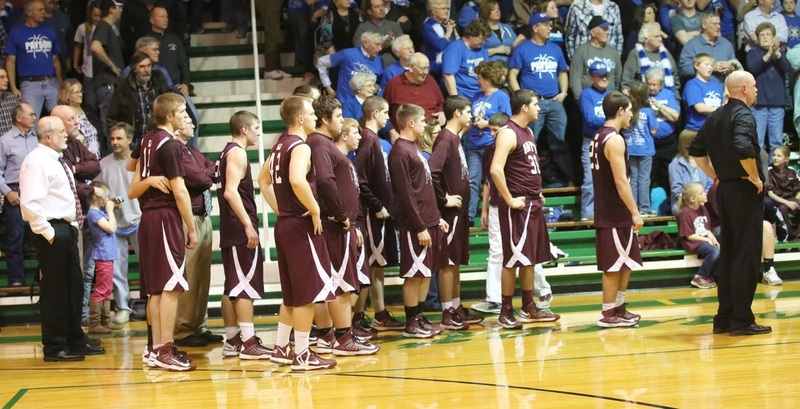 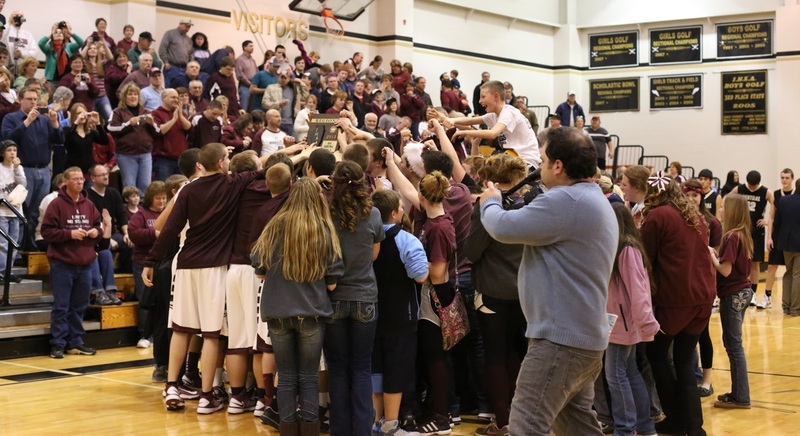 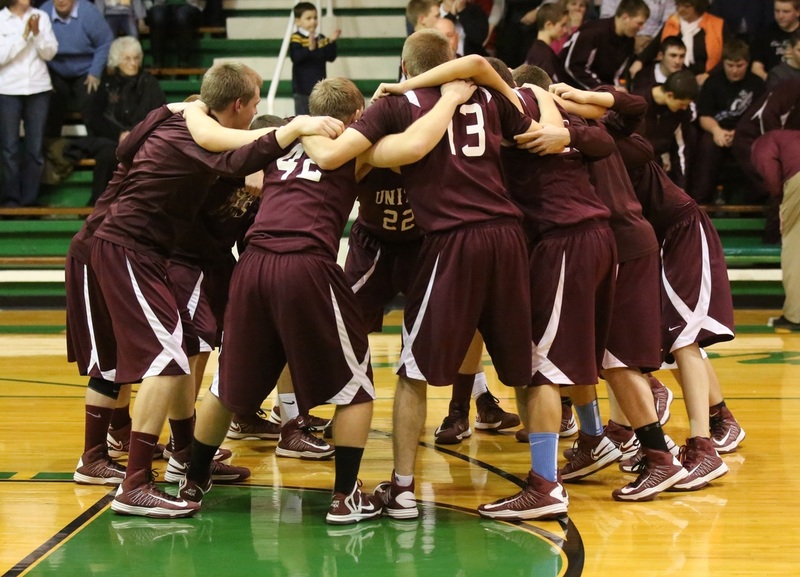 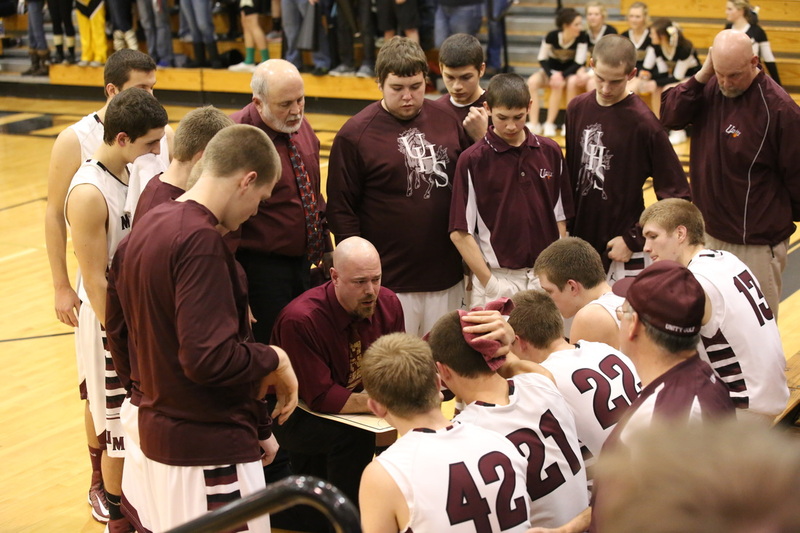 Mendon Unity enters at 19-11 and winners of their second consecutive regional championship. 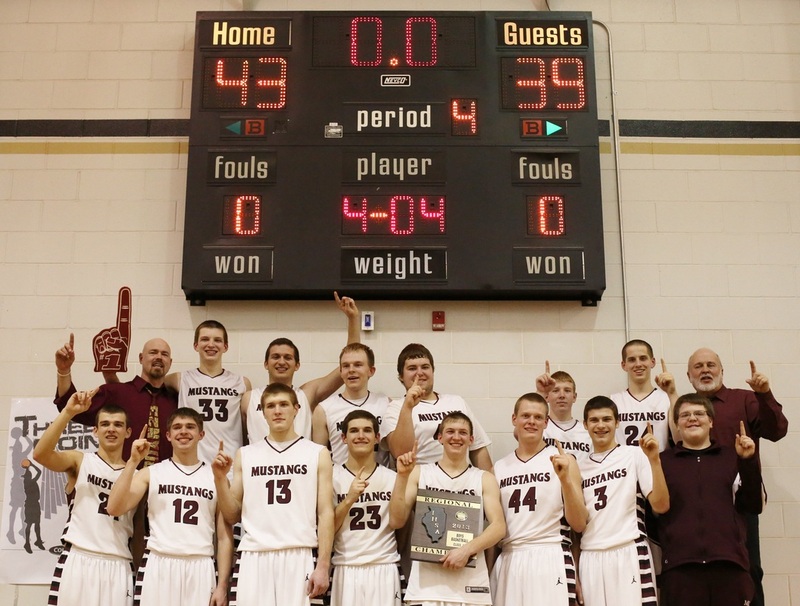 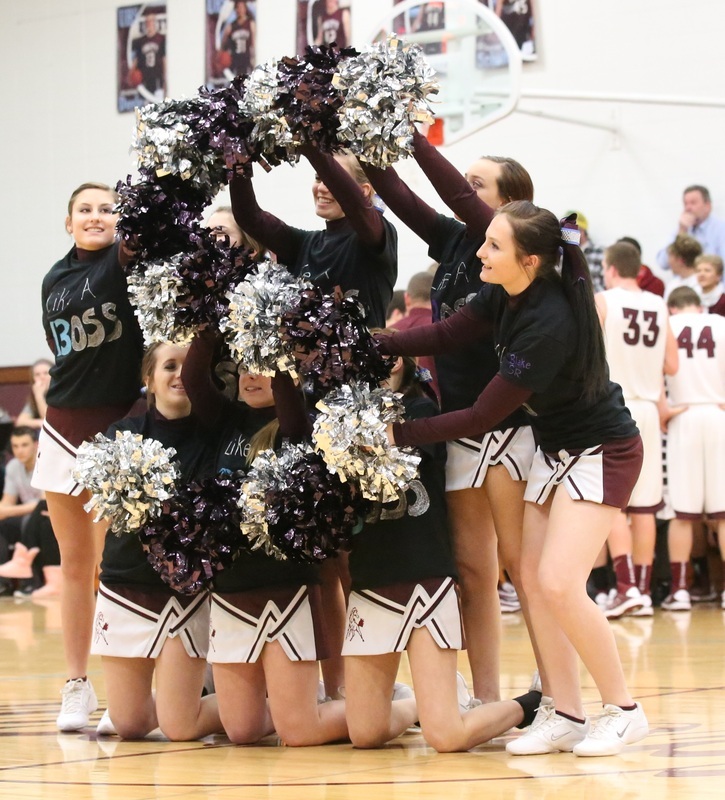 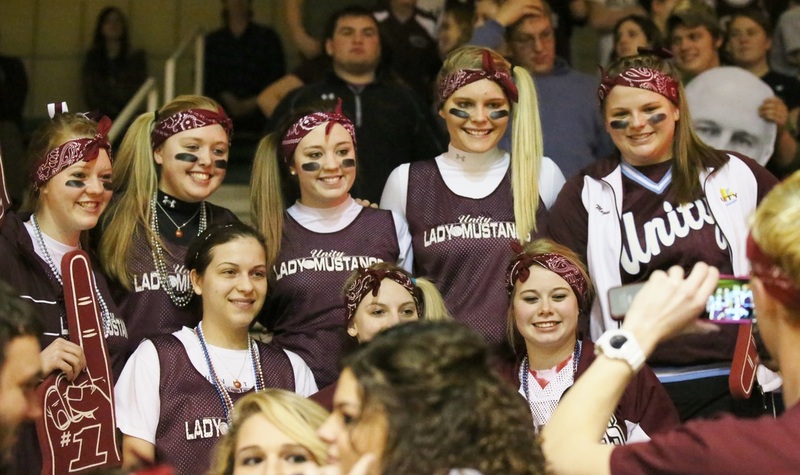 The Mustangs erased a nine-point deficit late in the third quarter to beat the host school 43-39 in the Camp Point Central Regional title game. 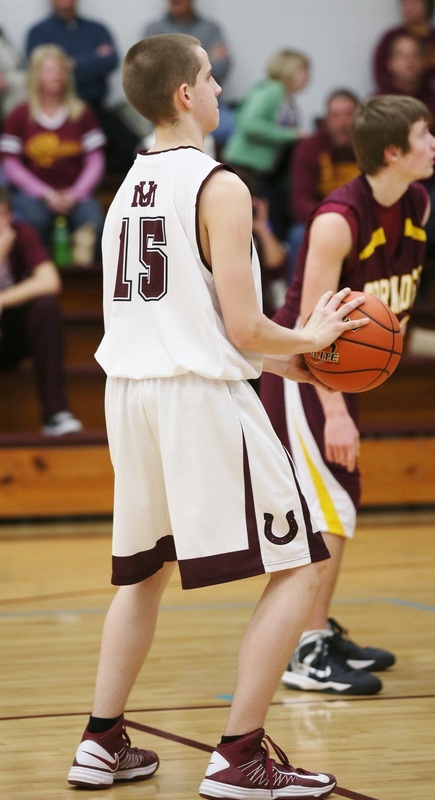 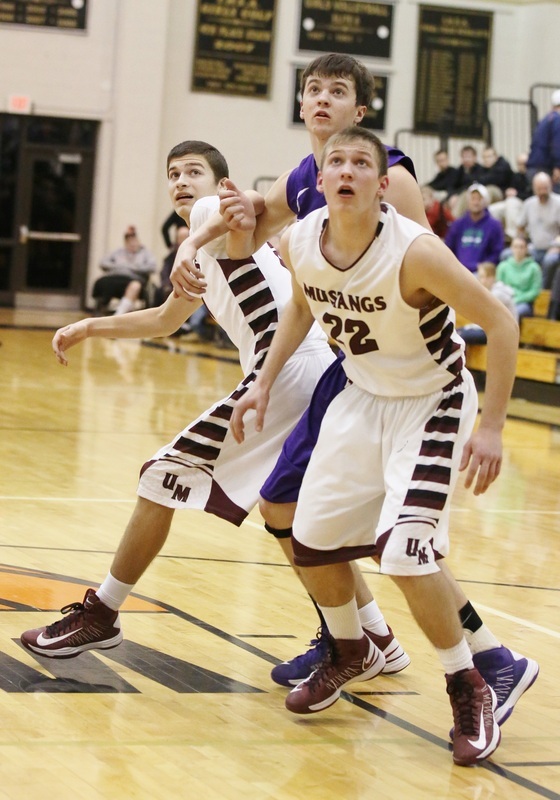 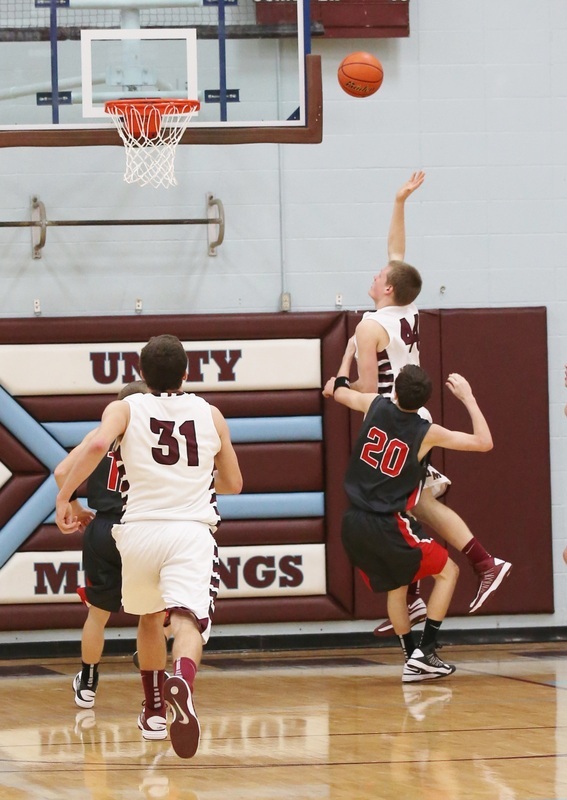 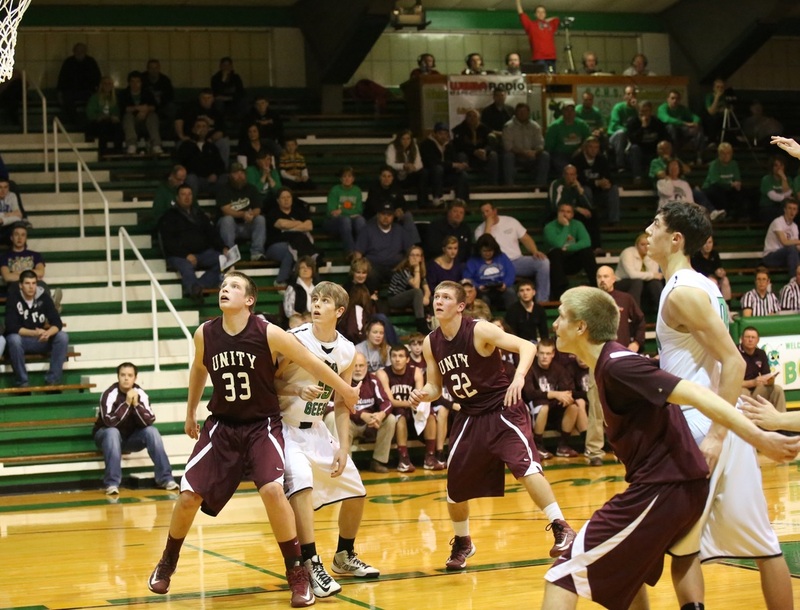 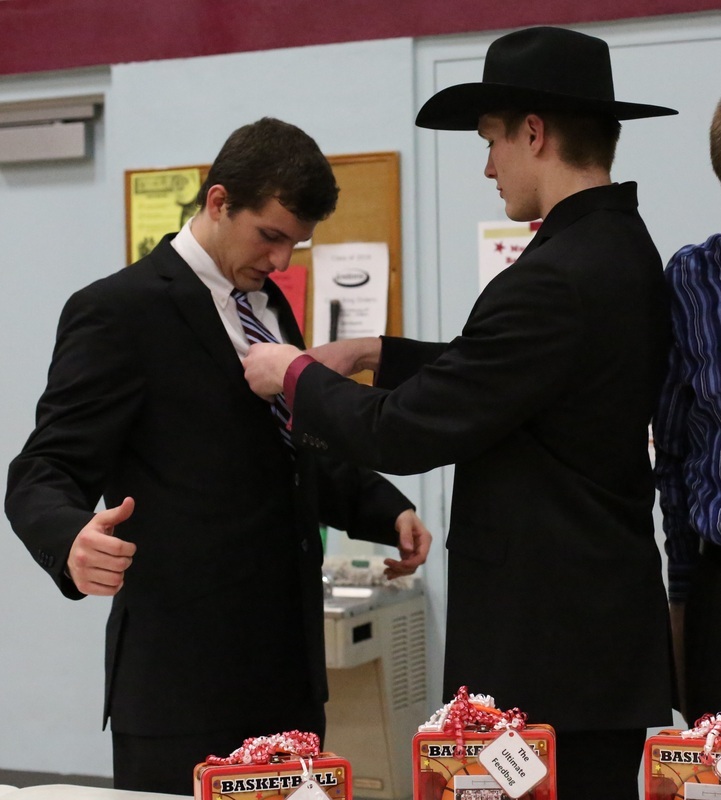 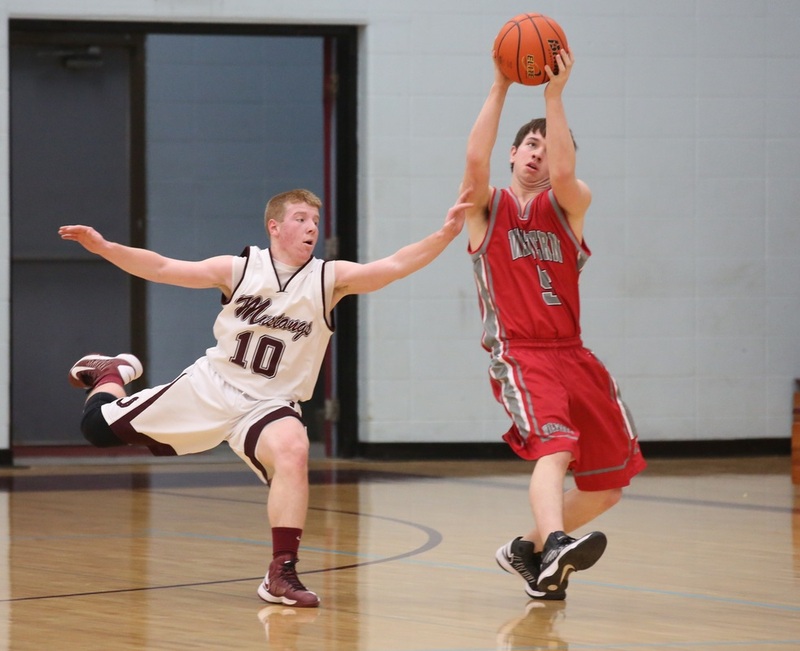 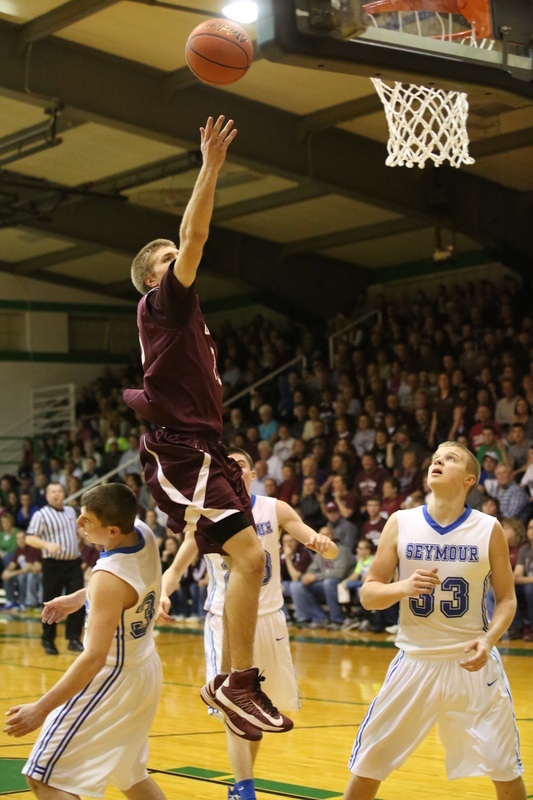 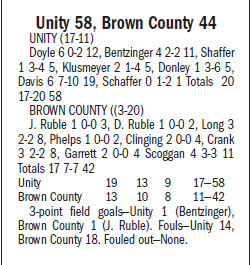 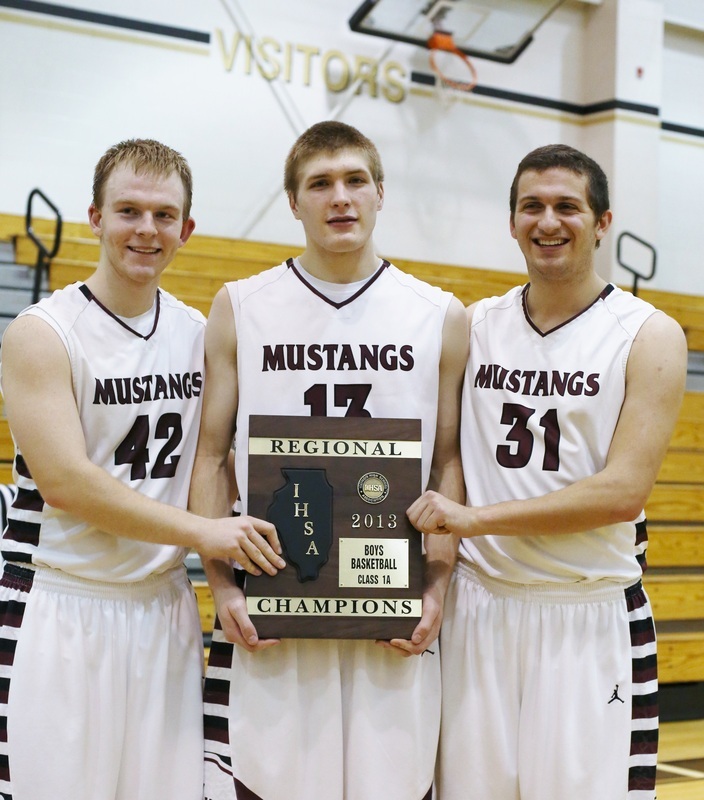 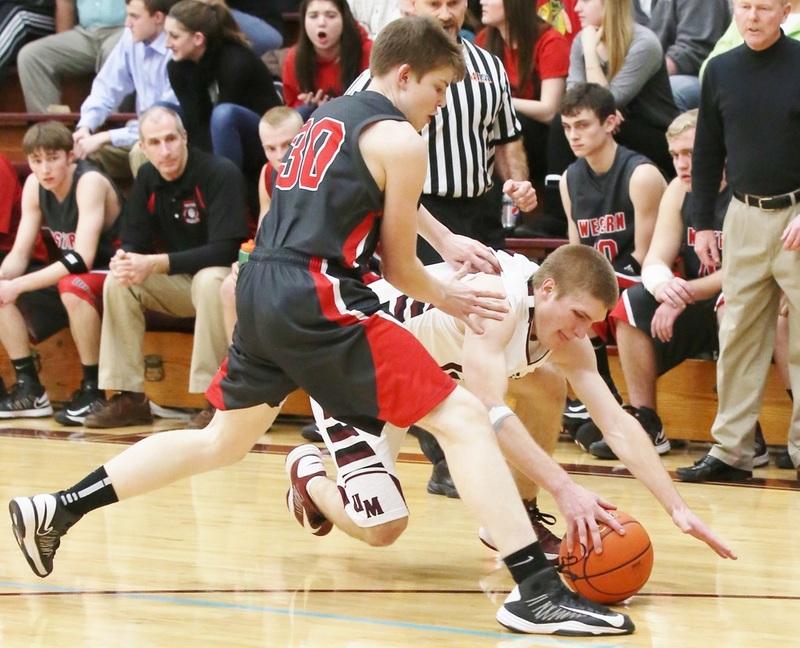 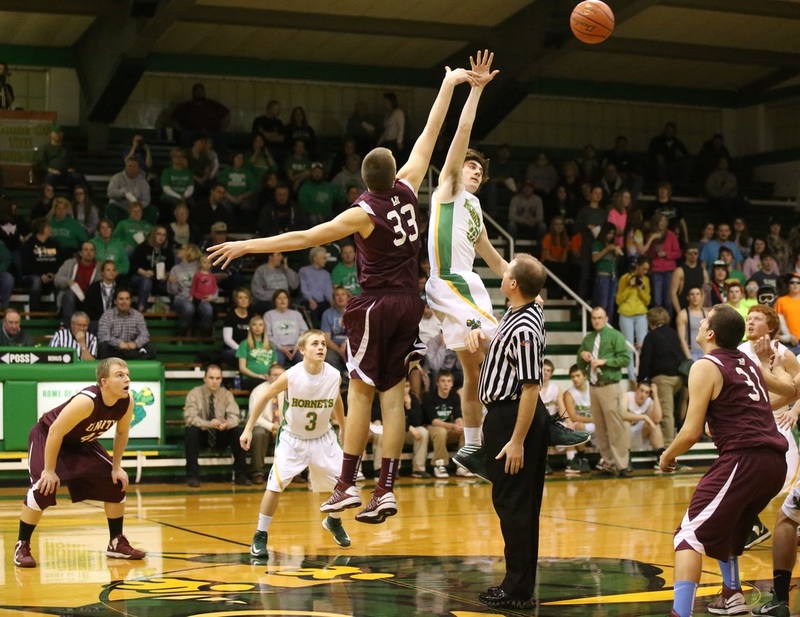 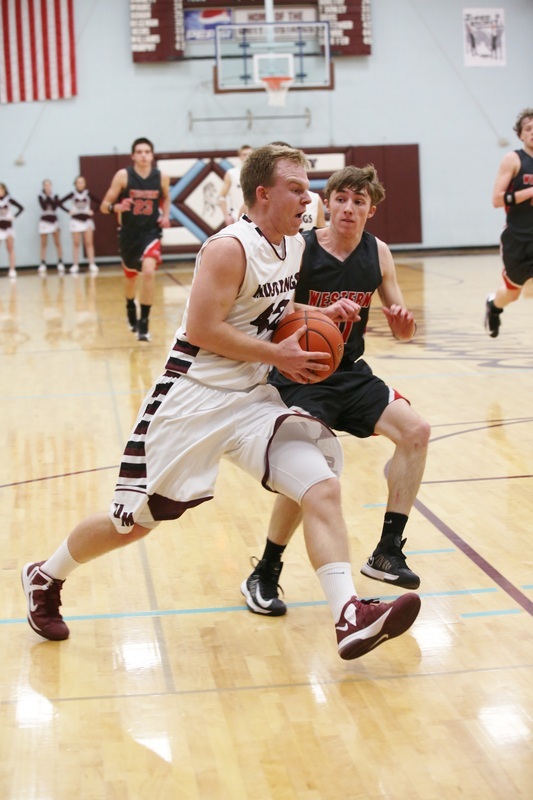 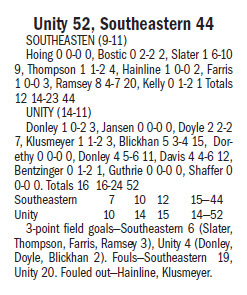 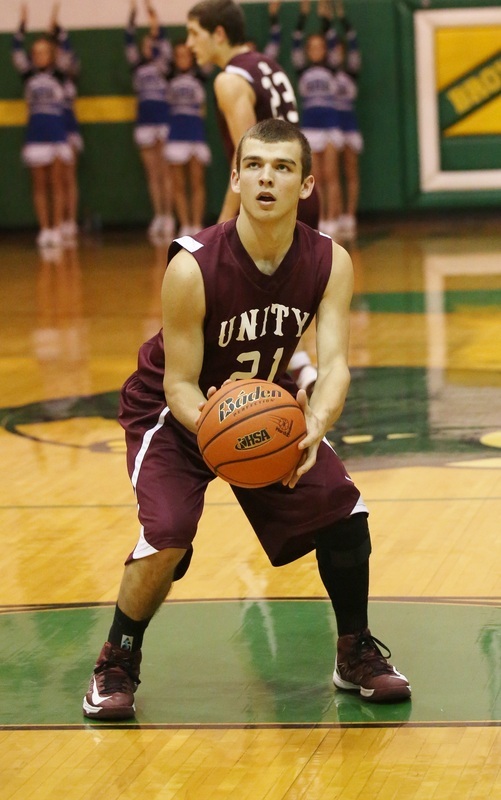 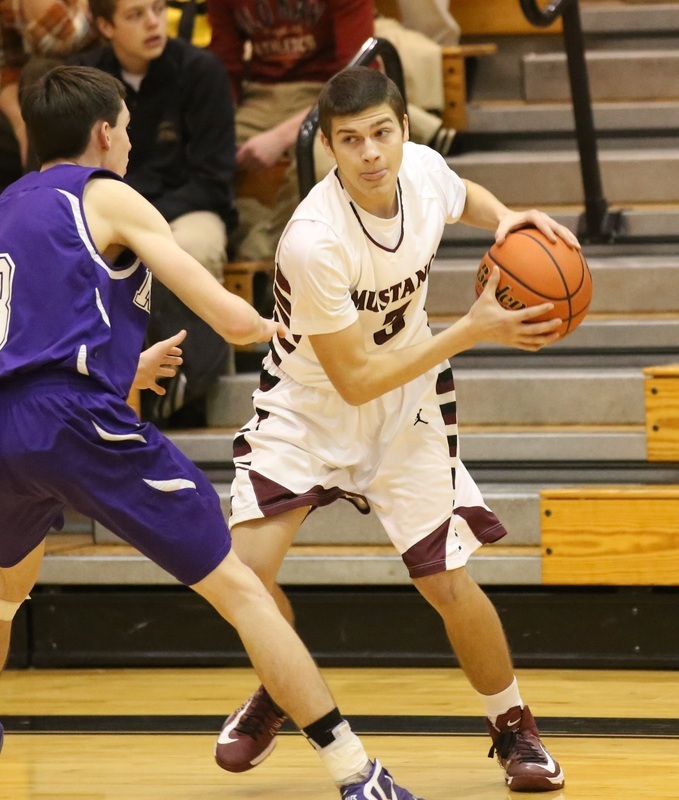 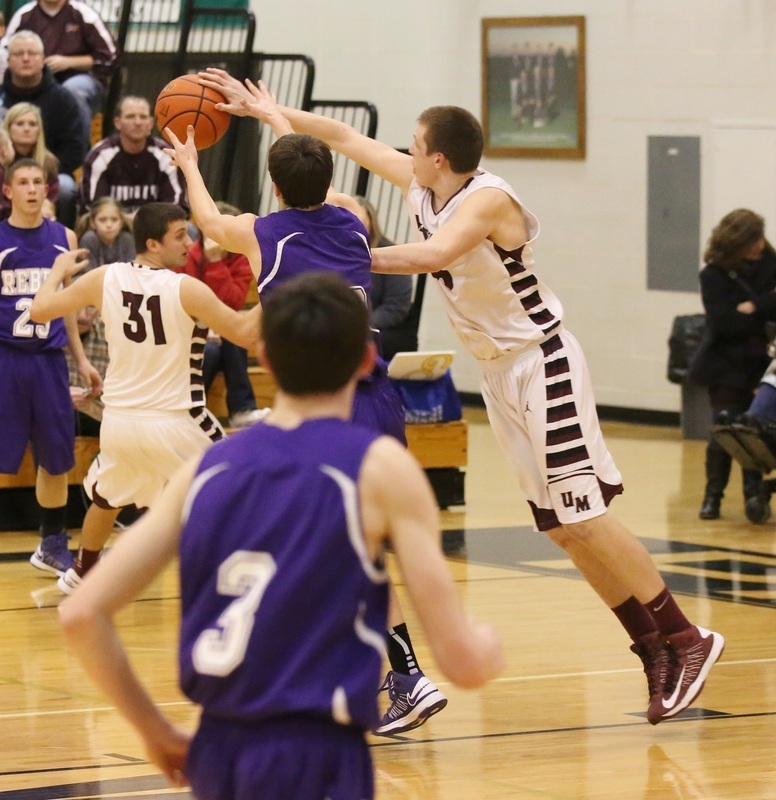 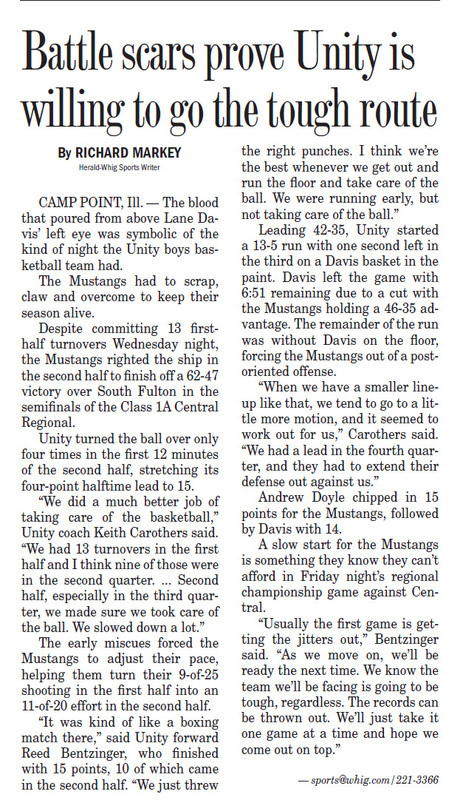 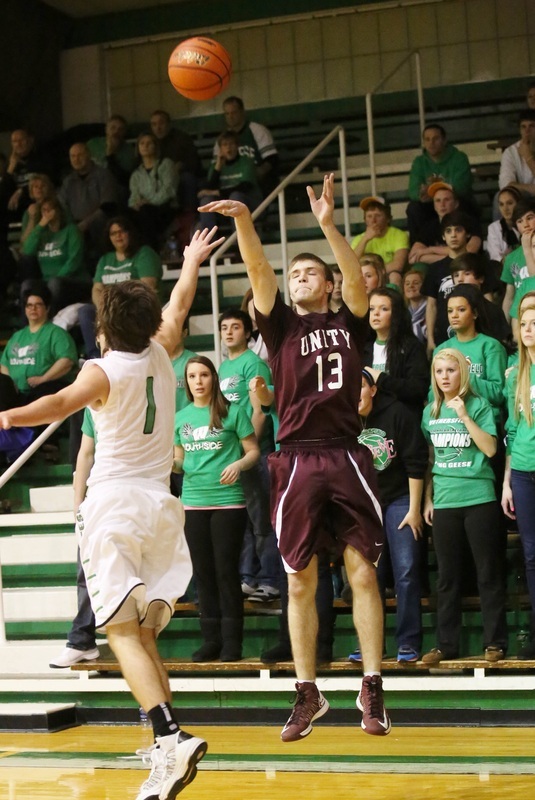 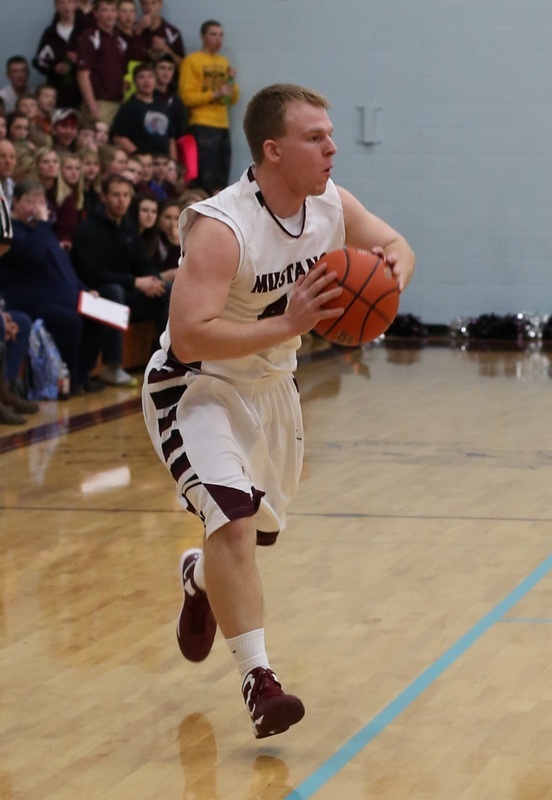 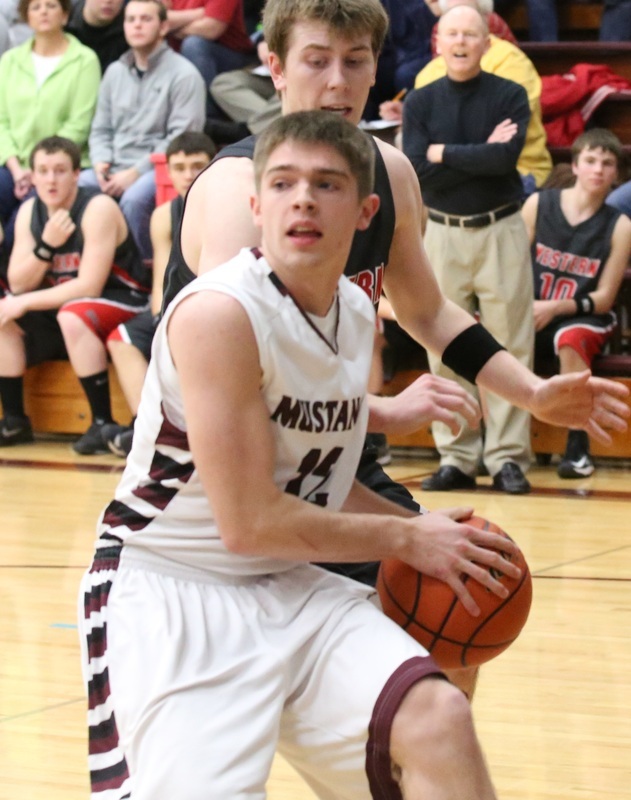 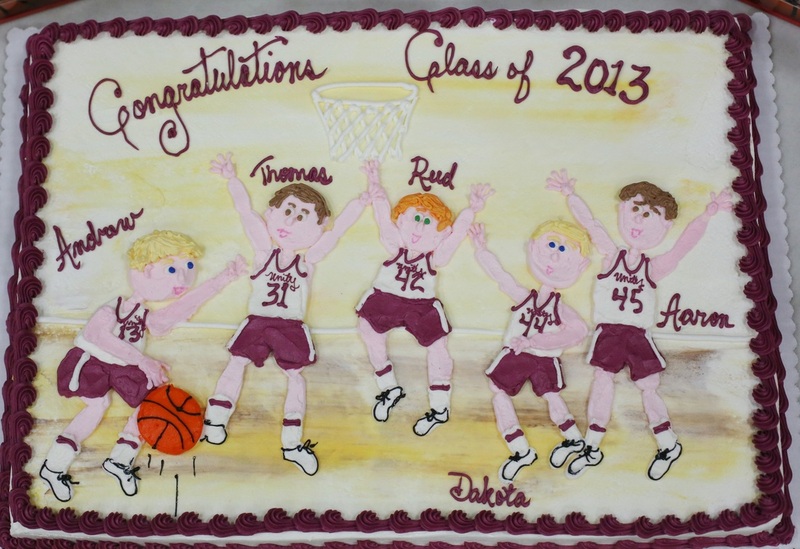 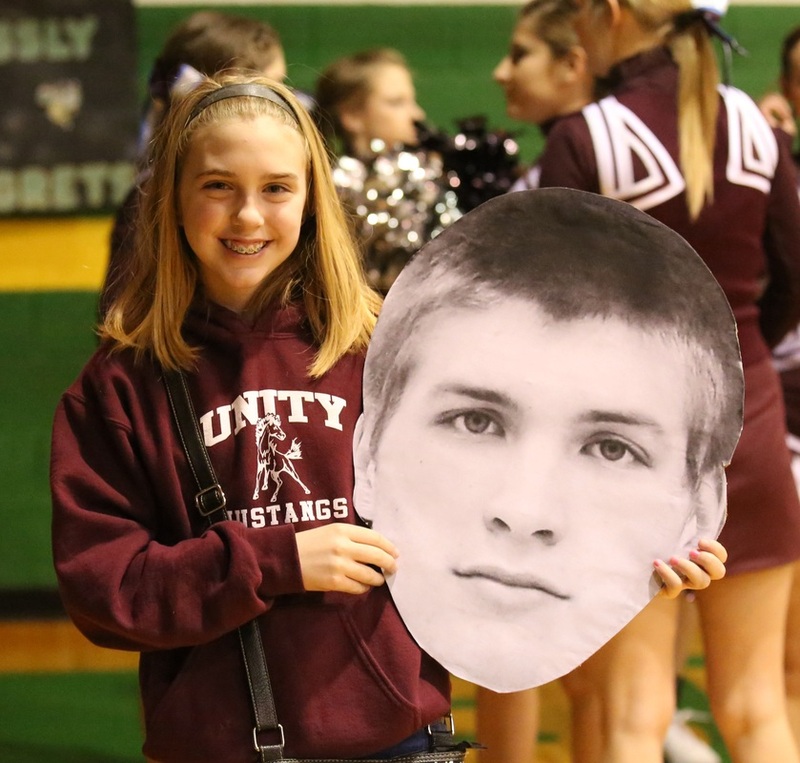 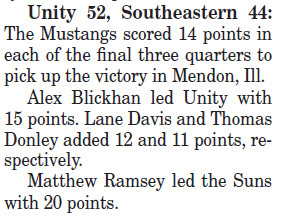 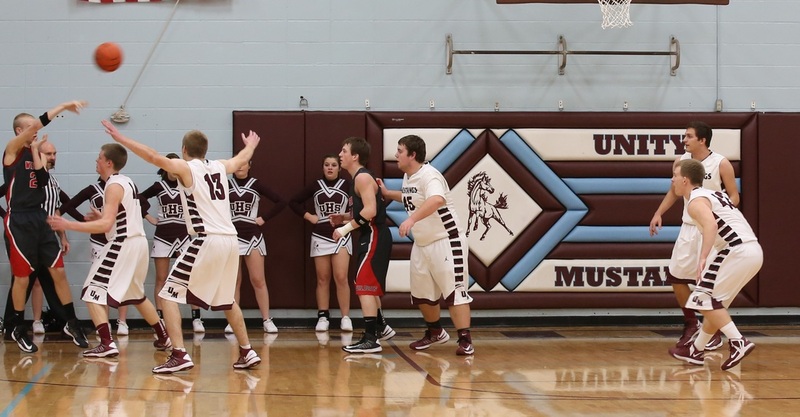 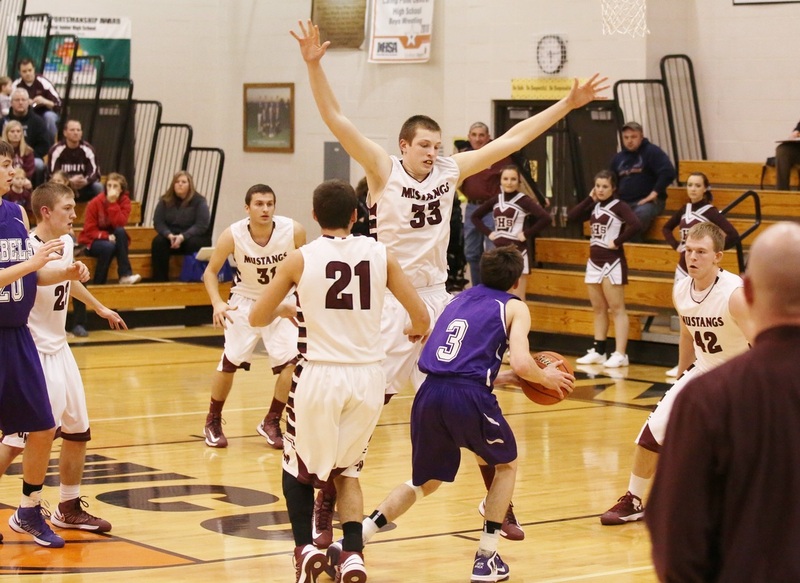 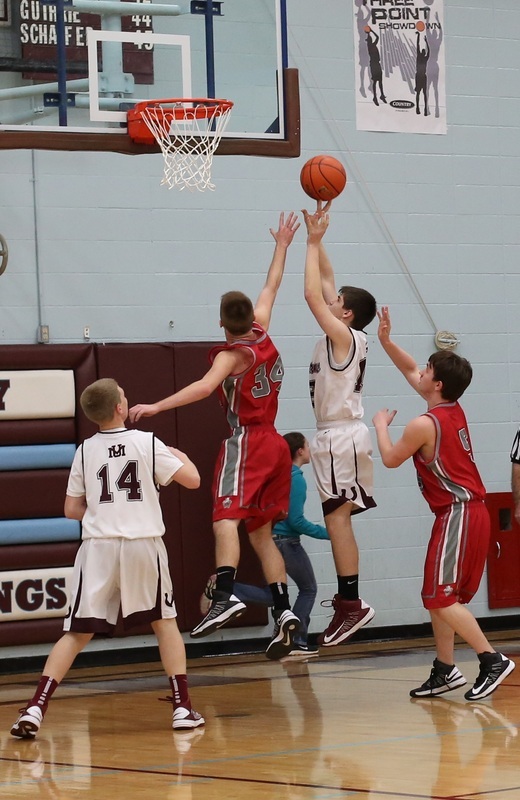 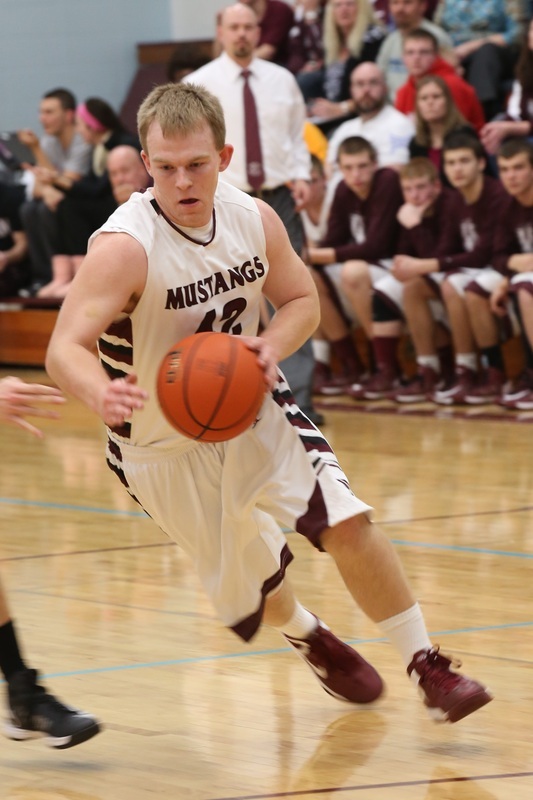 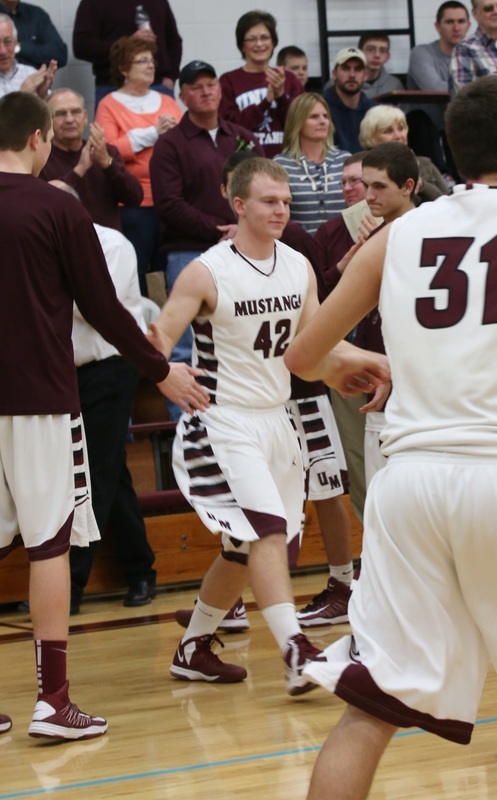 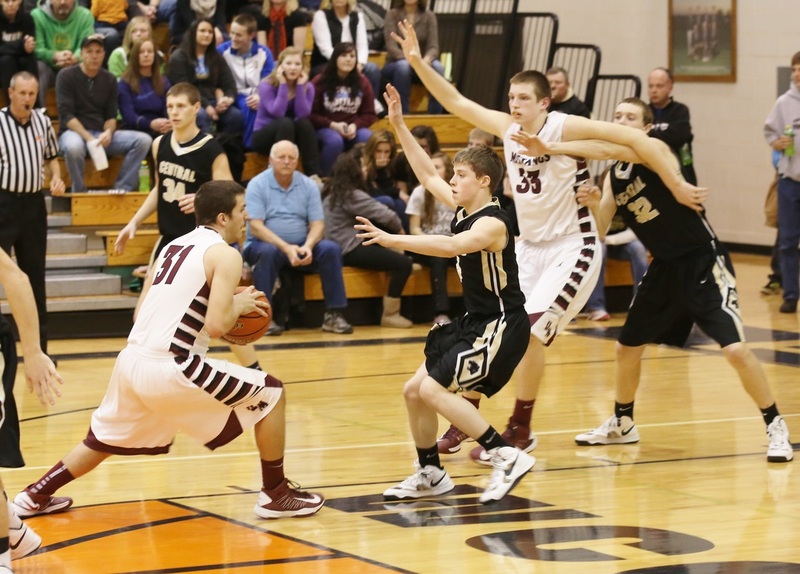 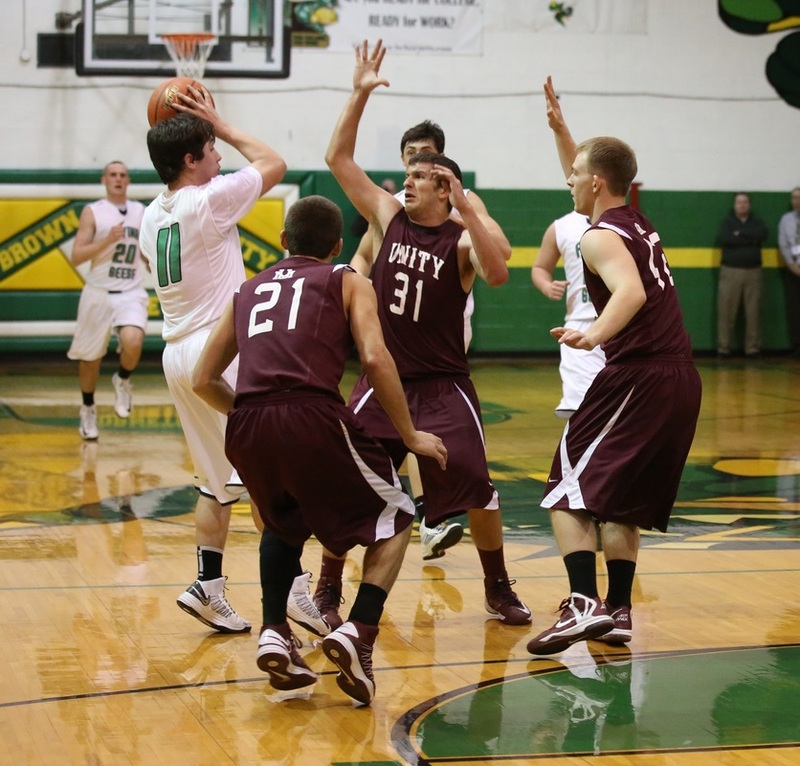 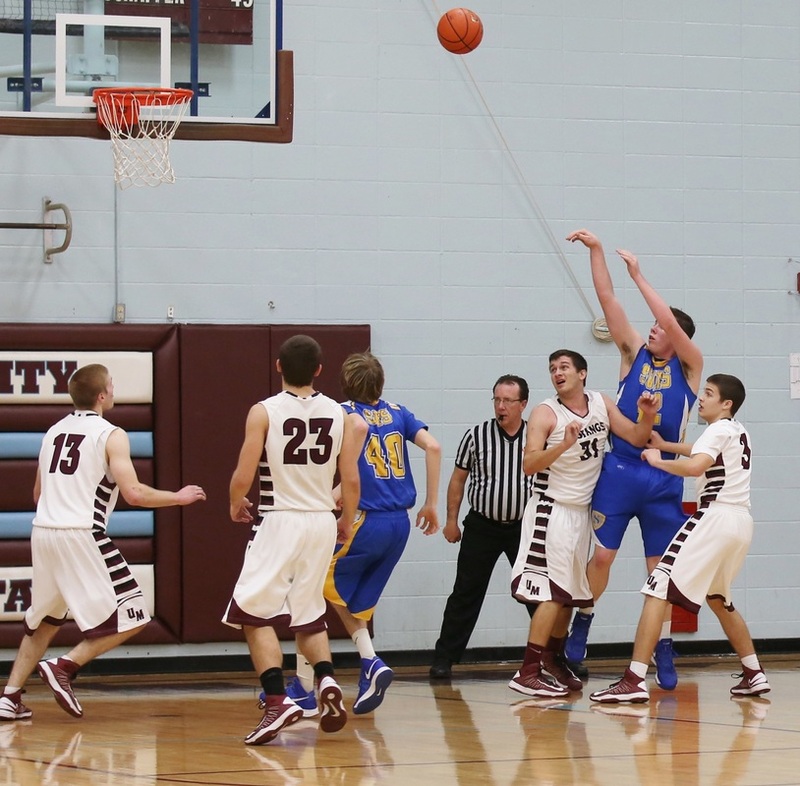 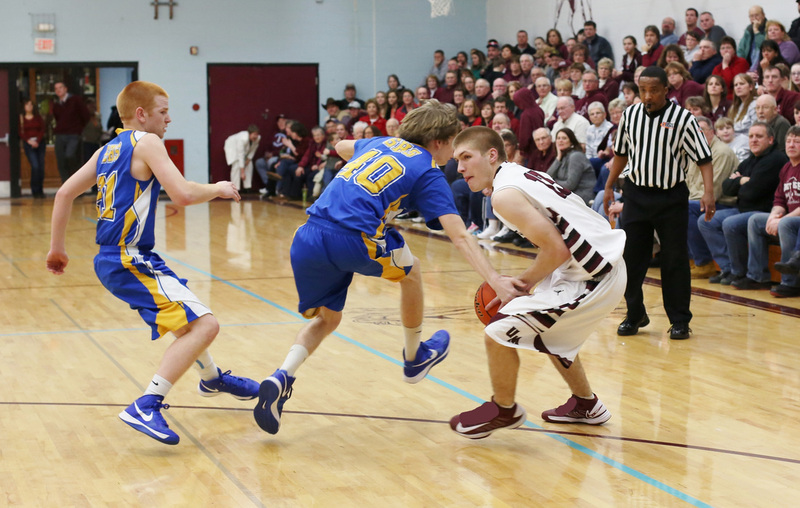 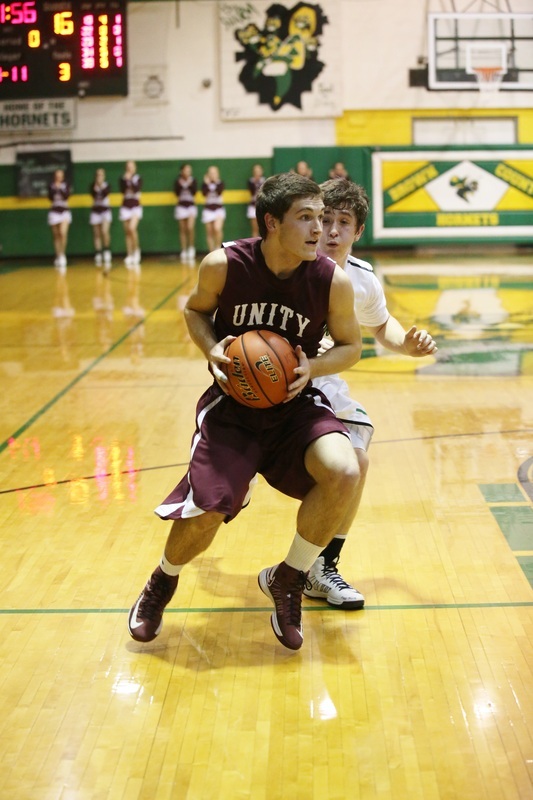 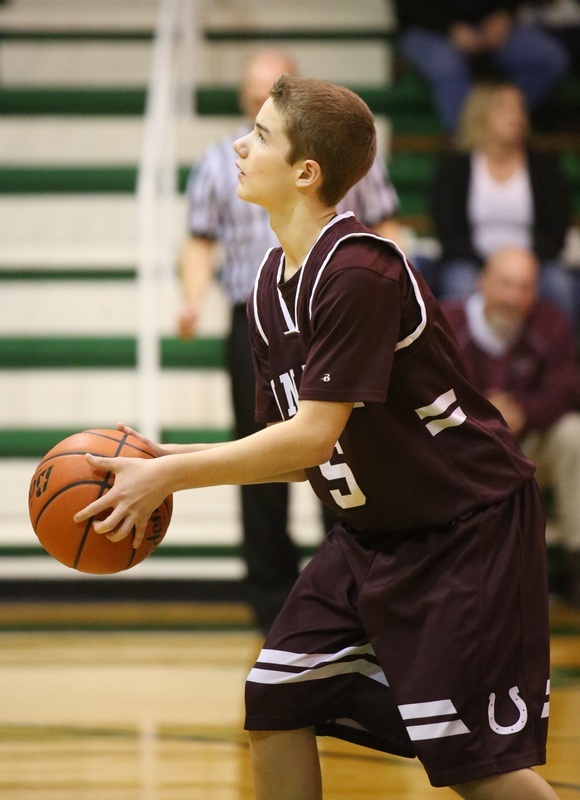 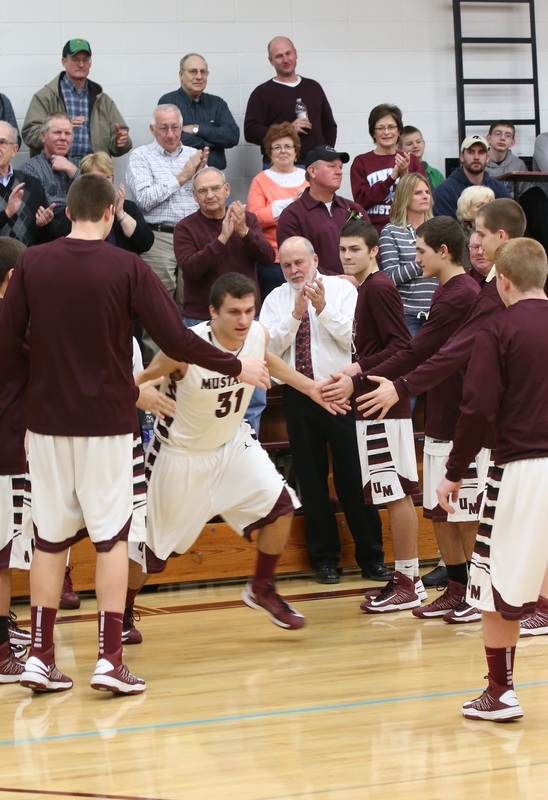 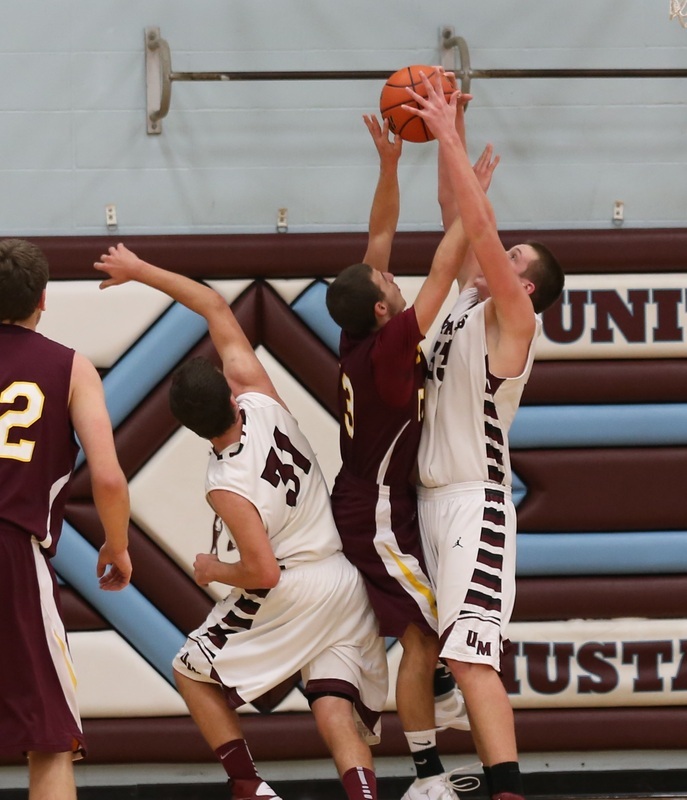 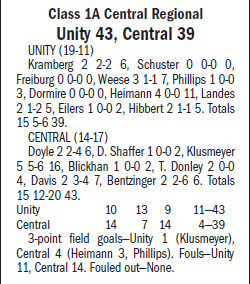 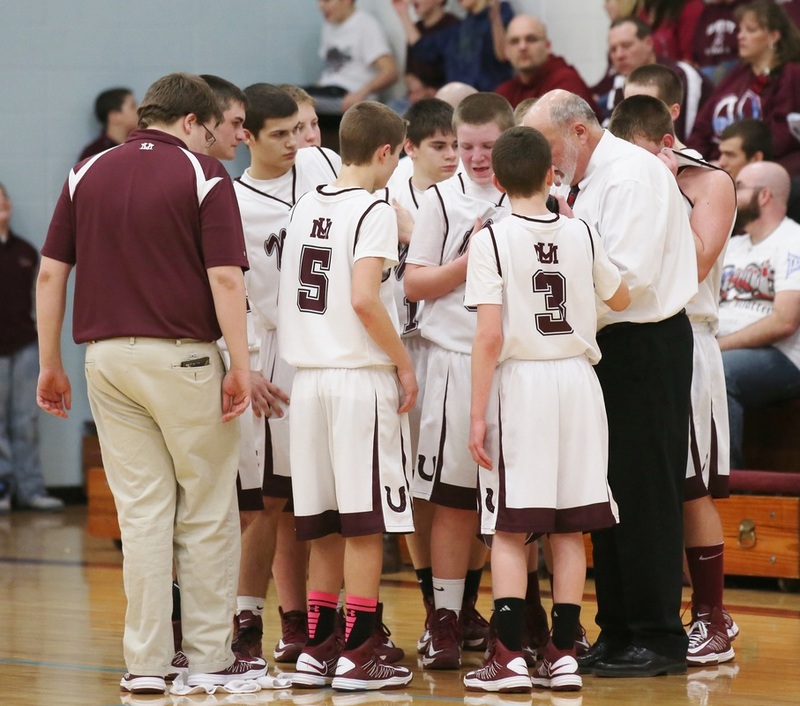 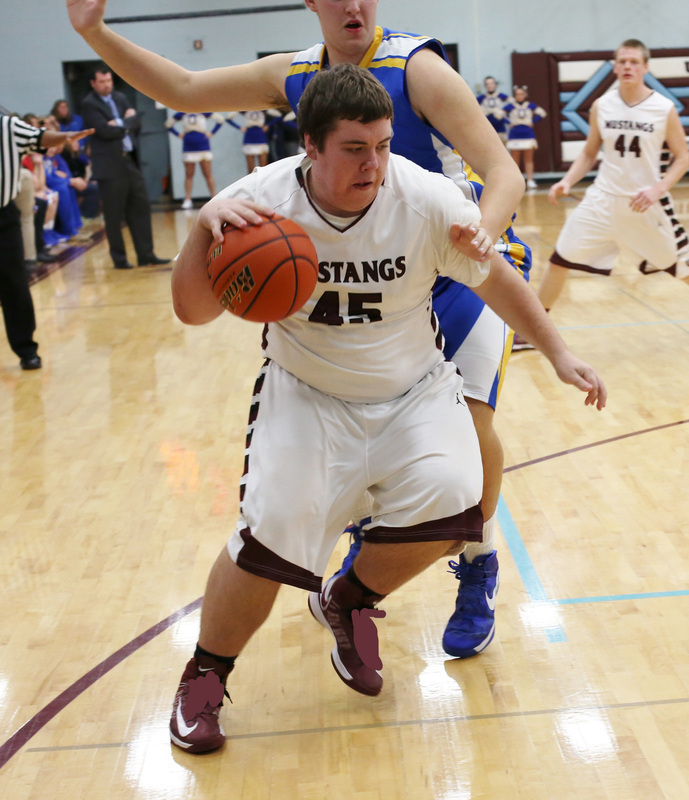 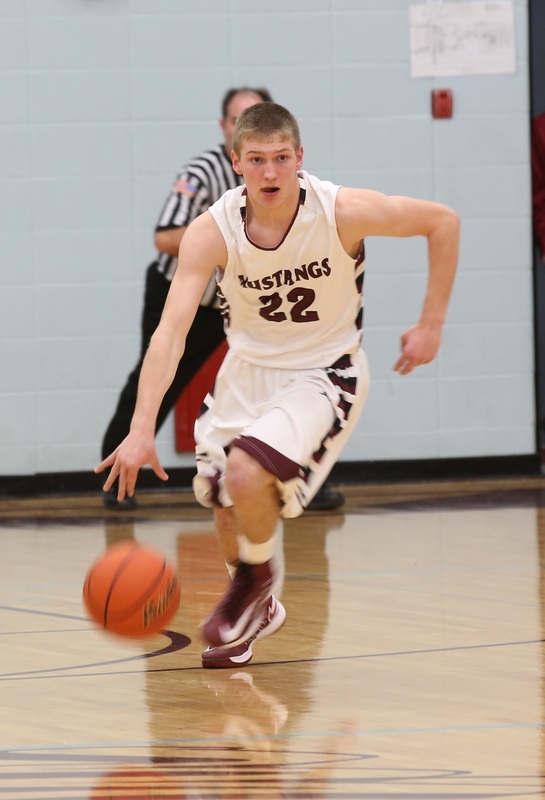 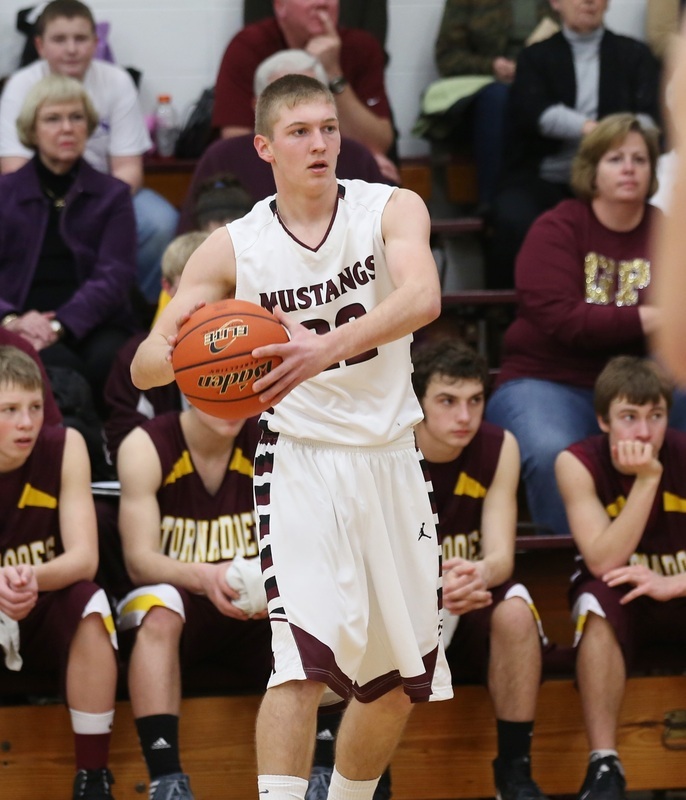 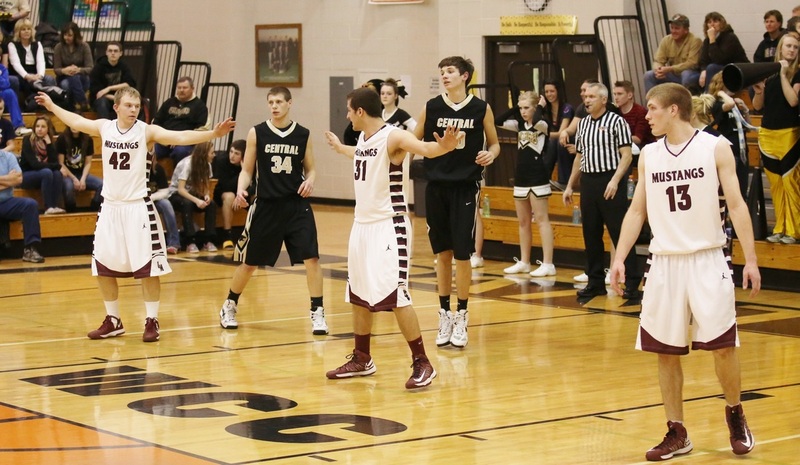 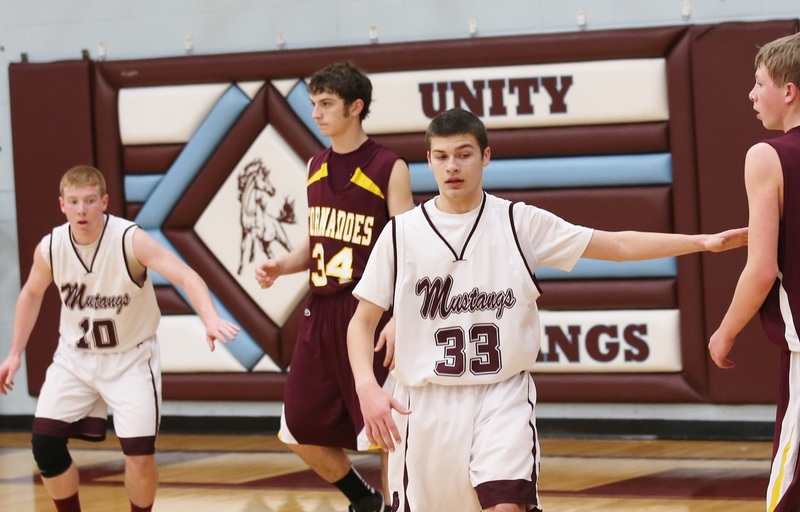 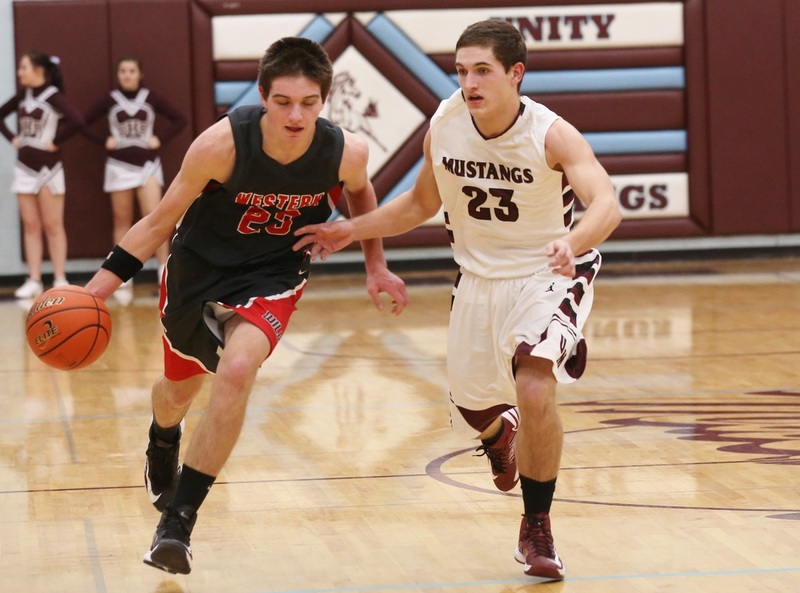 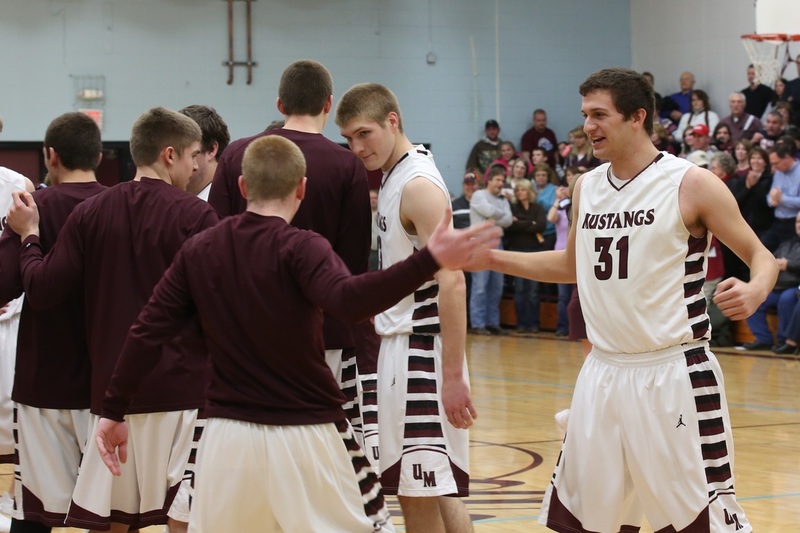 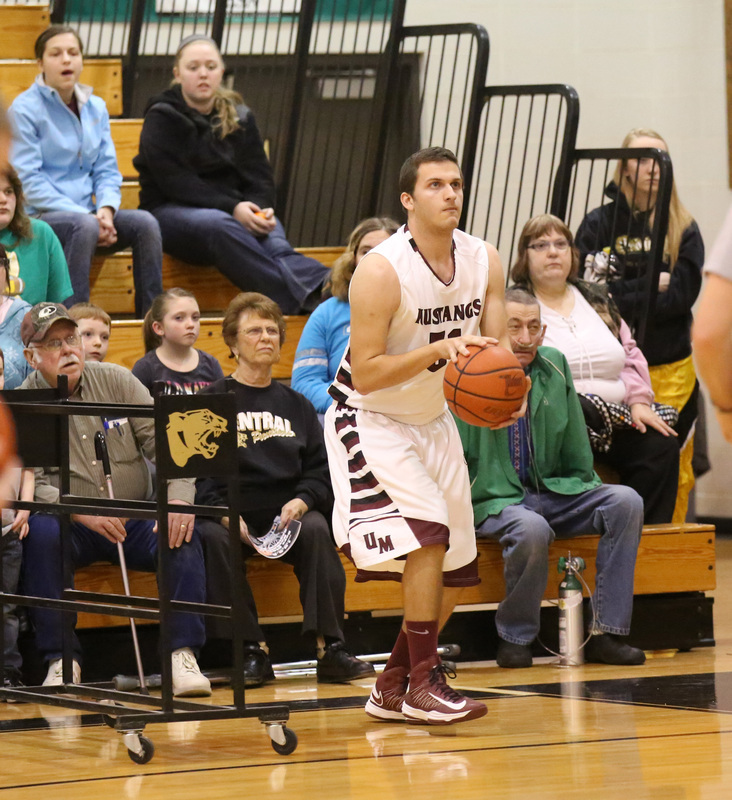 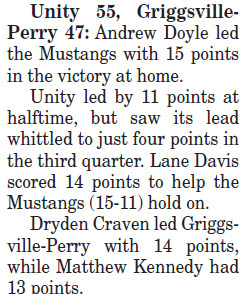 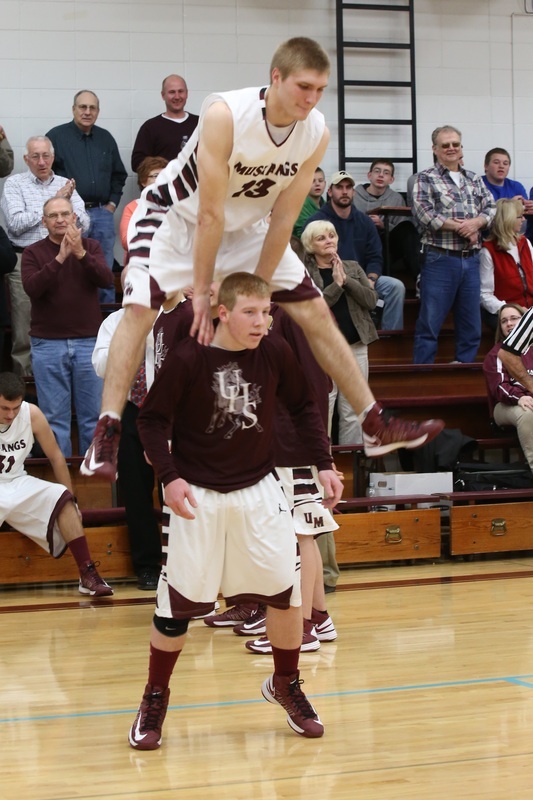 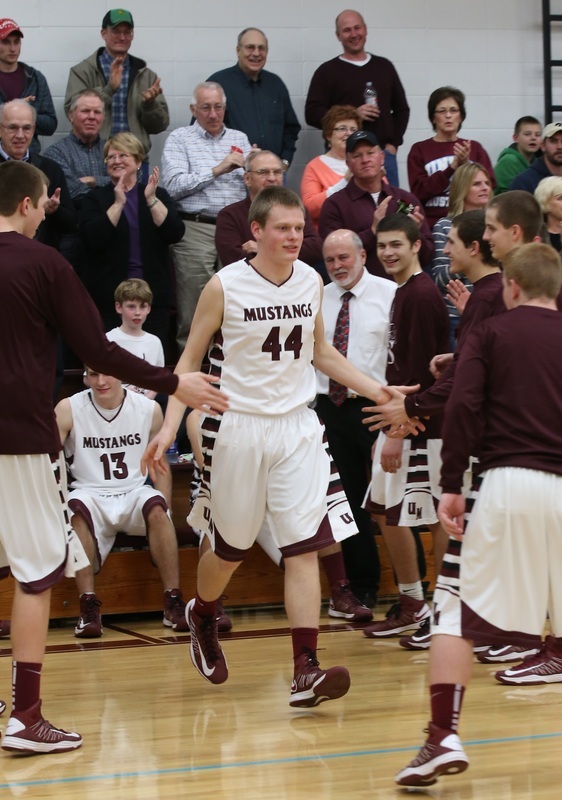 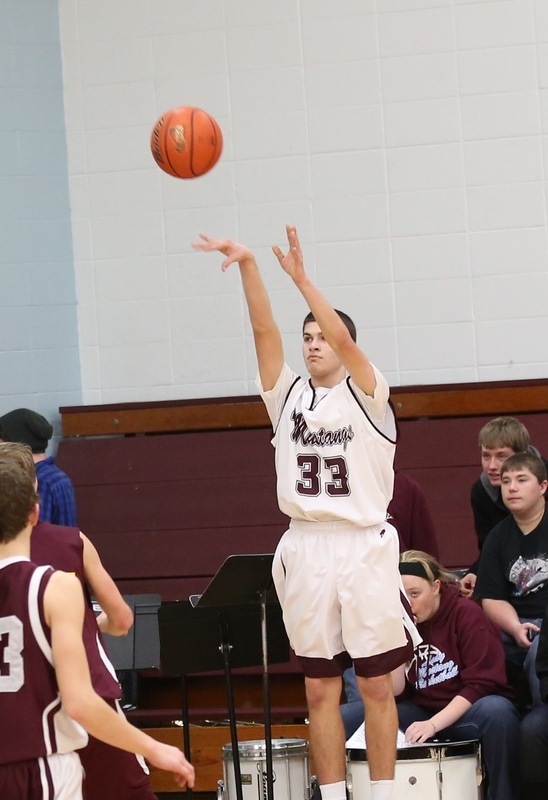 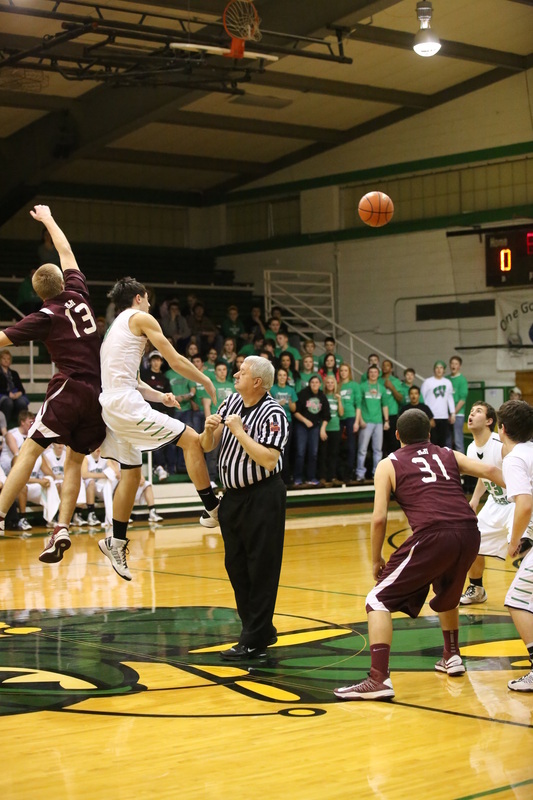 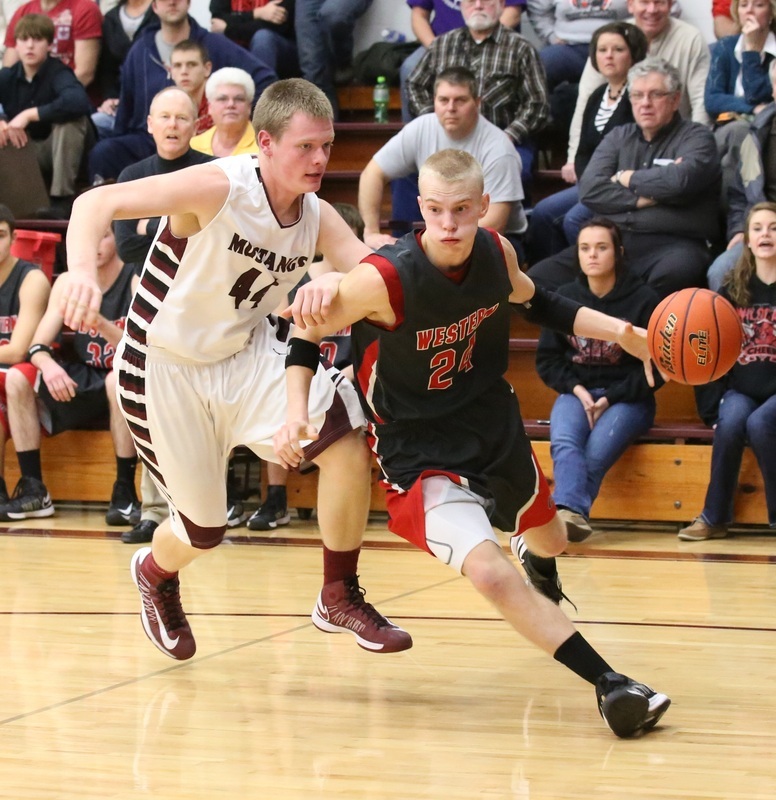 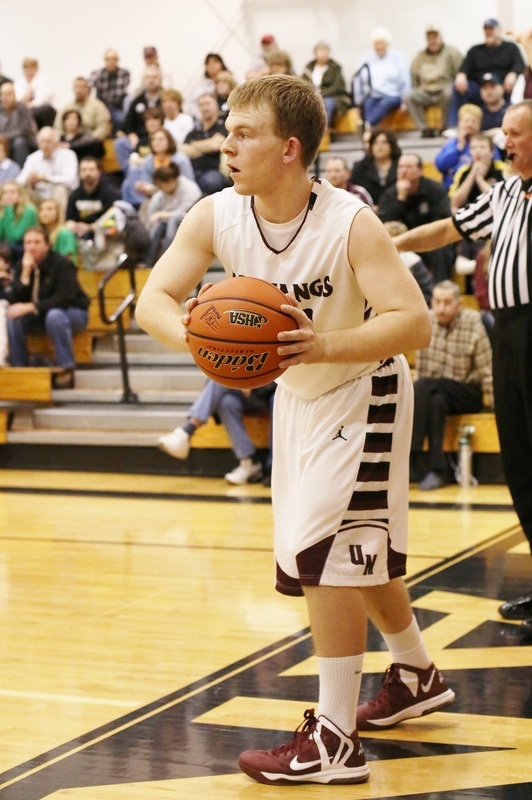 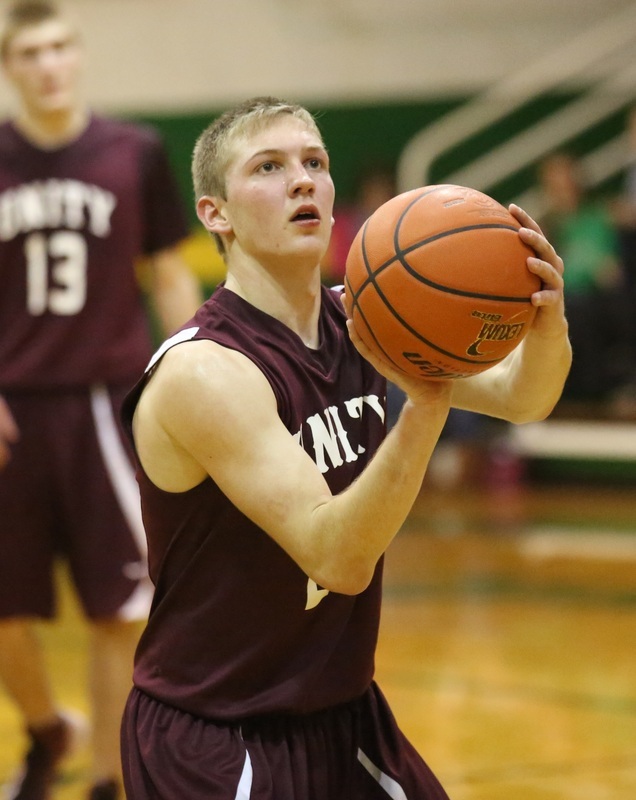 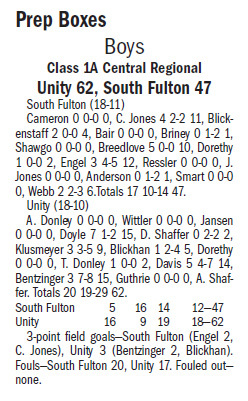 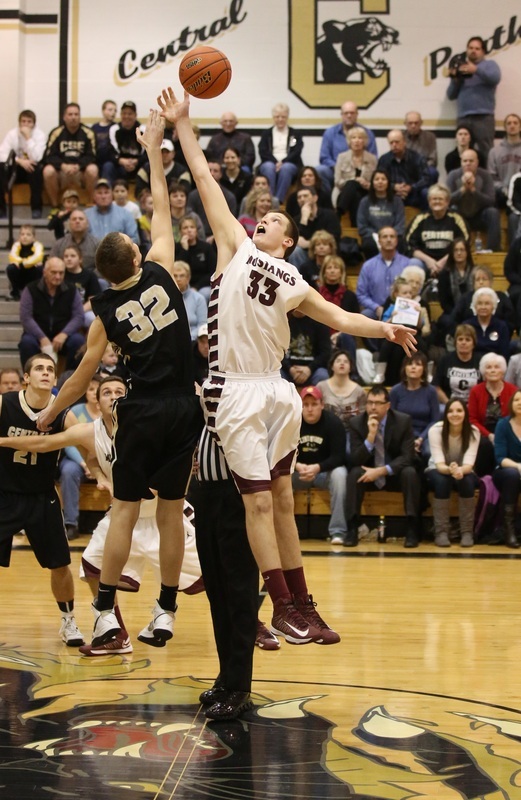 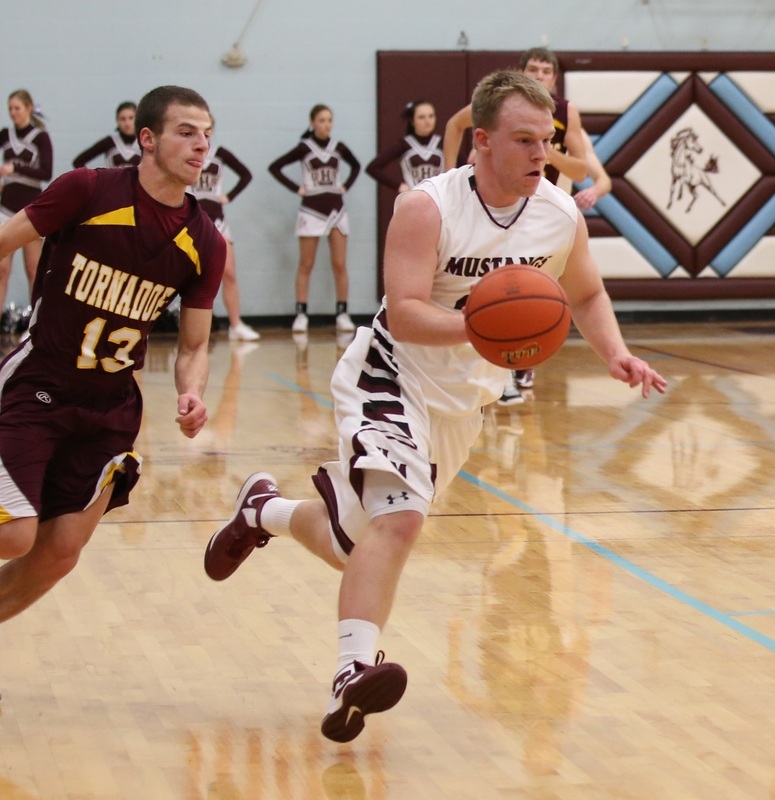 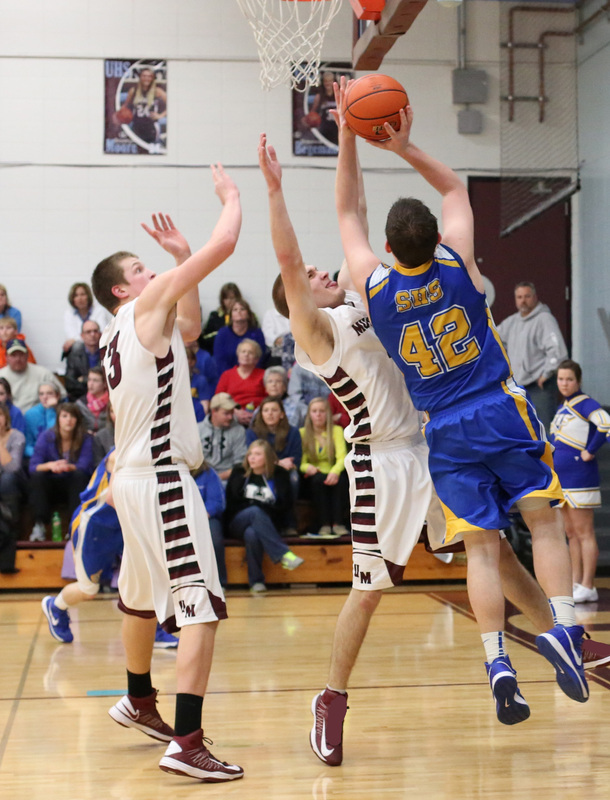 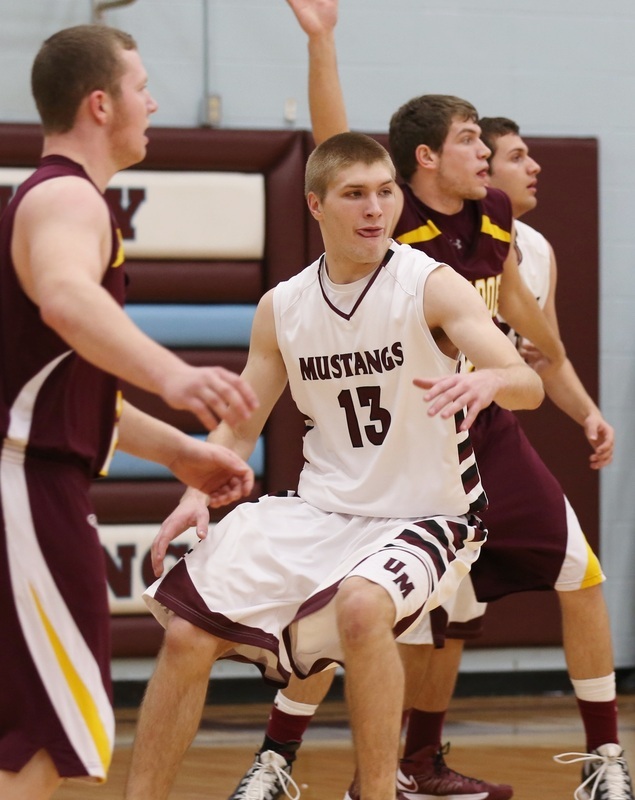 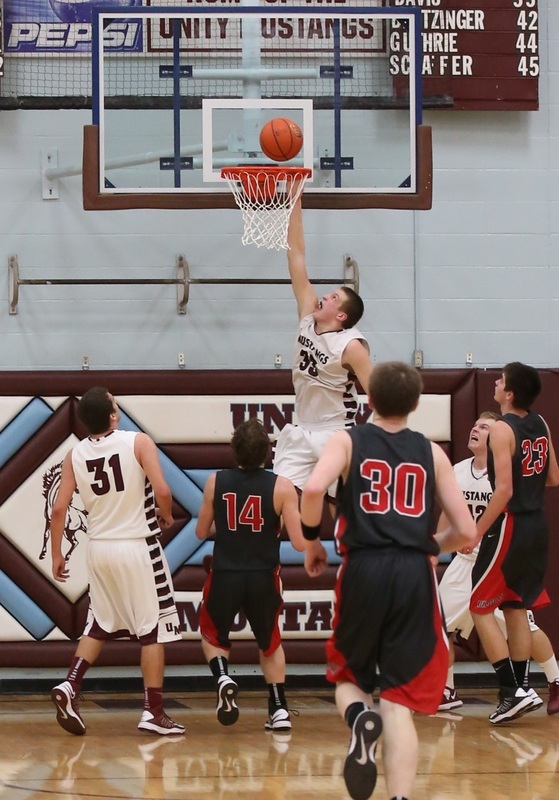 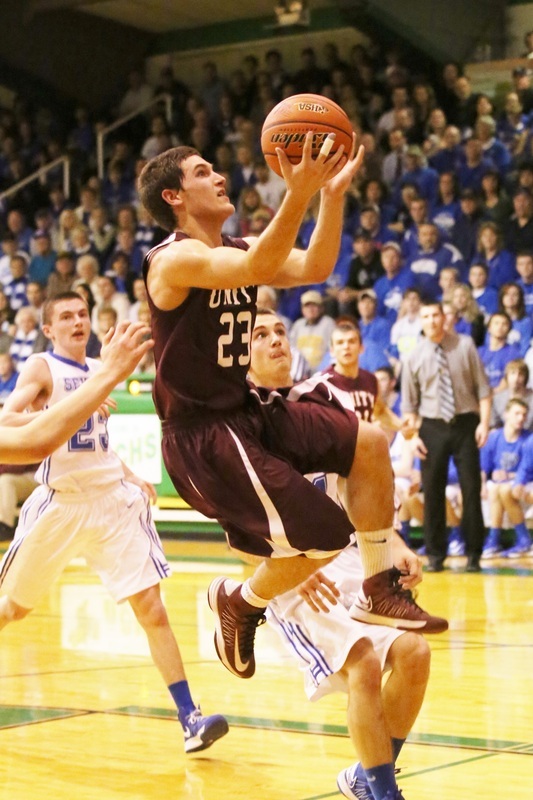 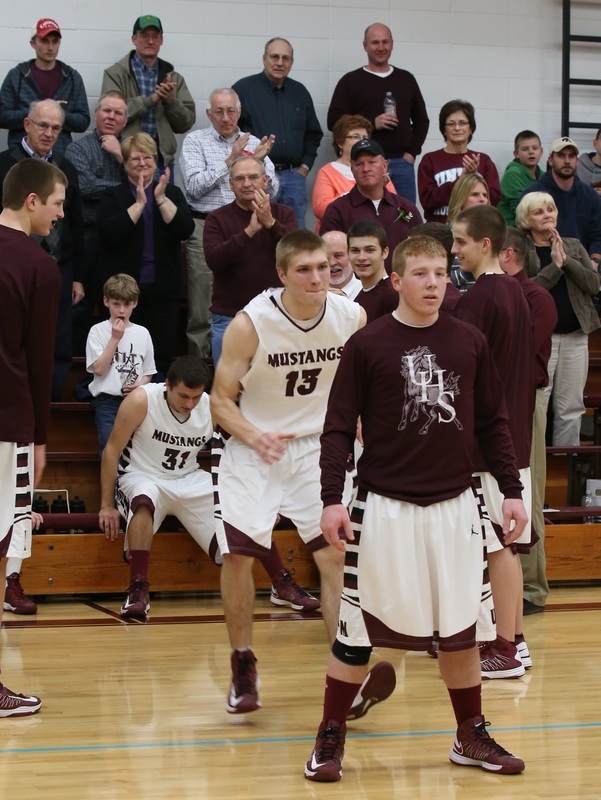 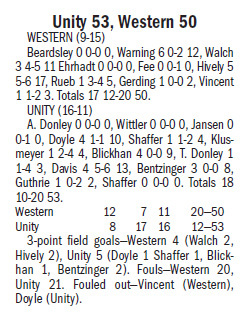 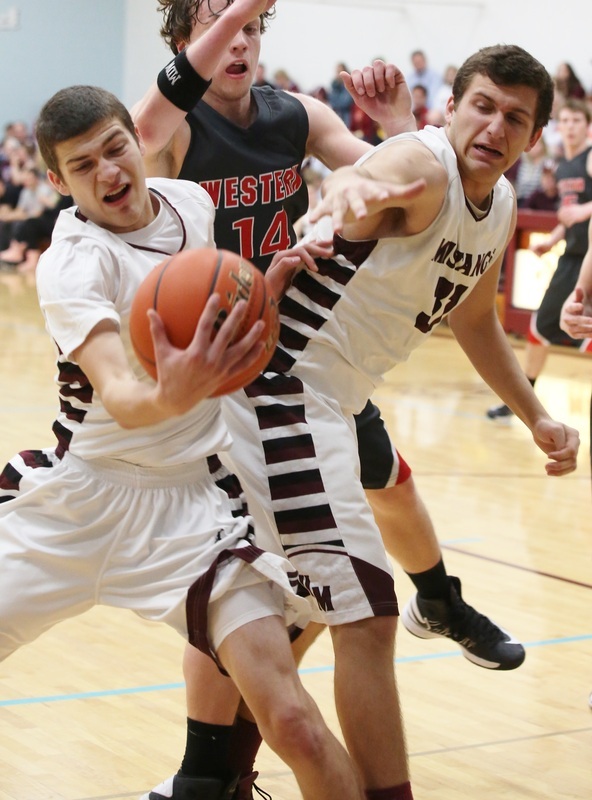 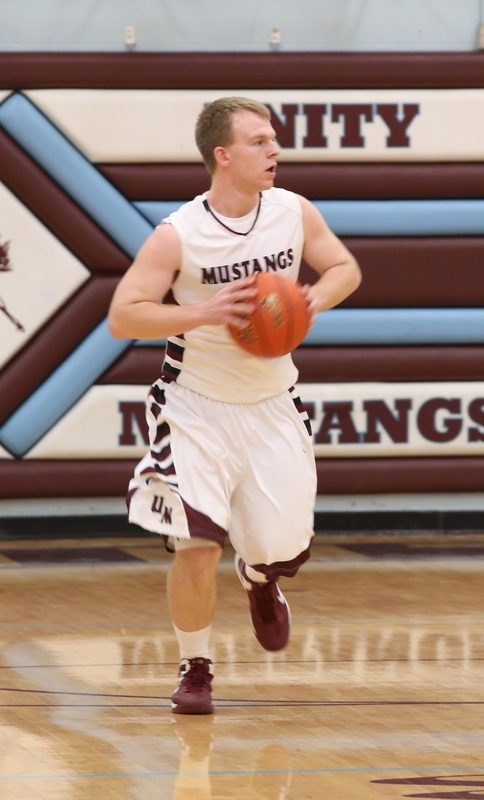 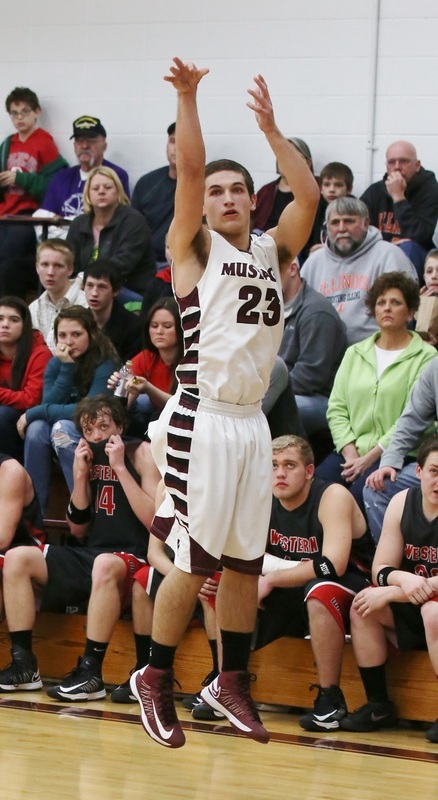 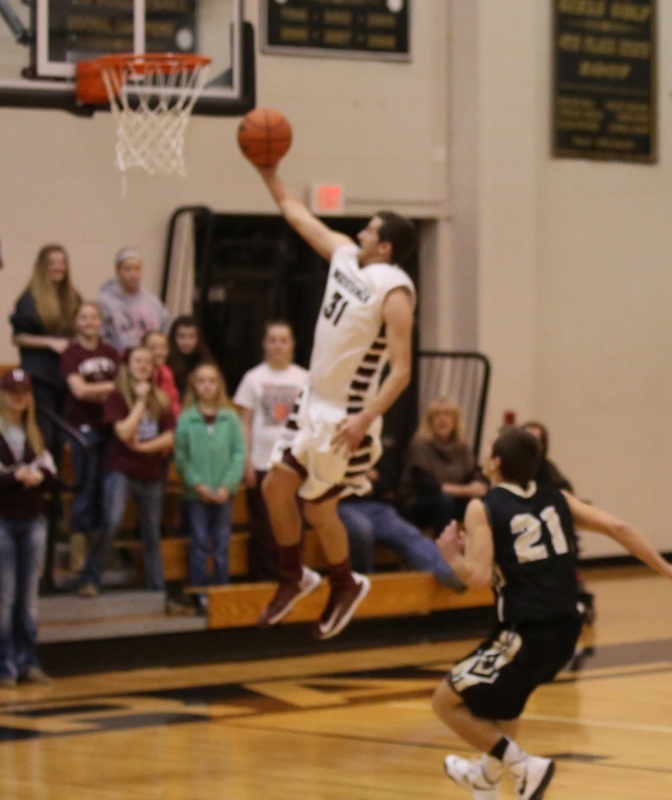 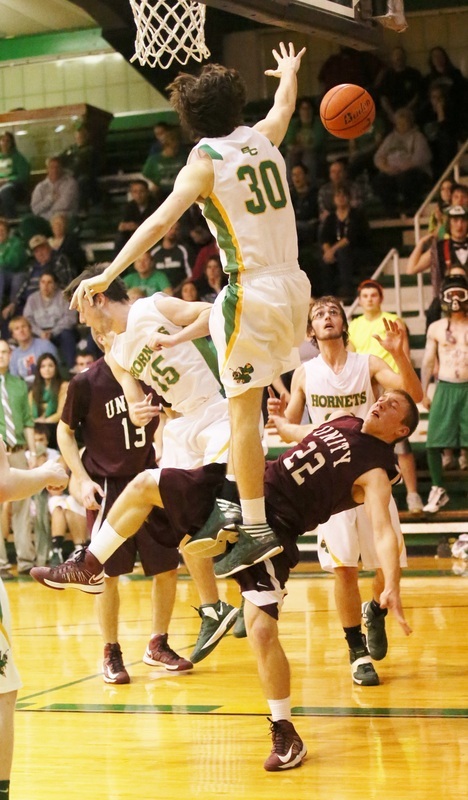 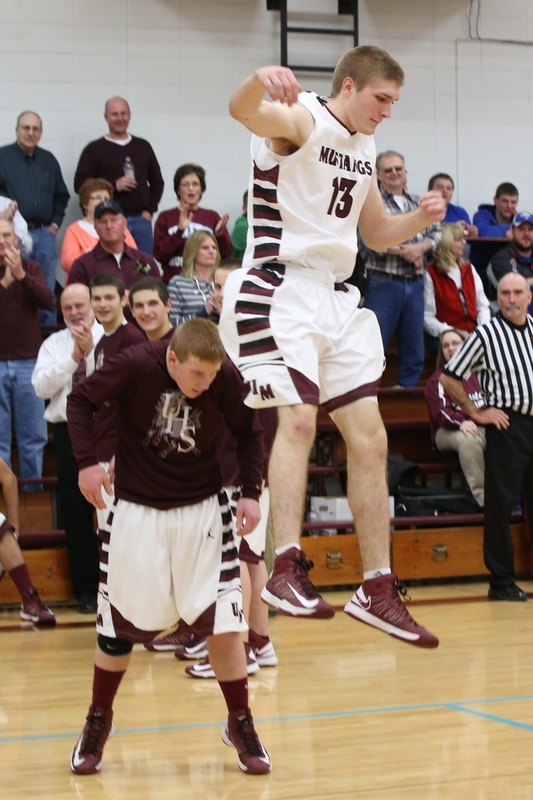 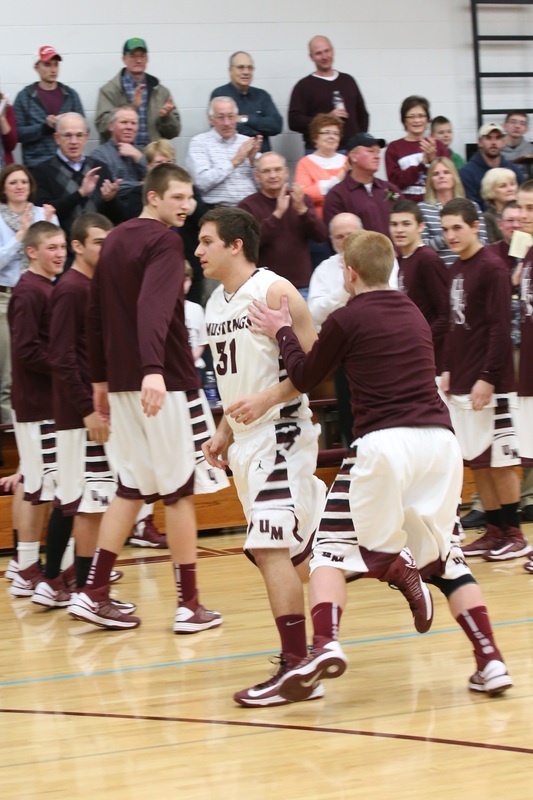 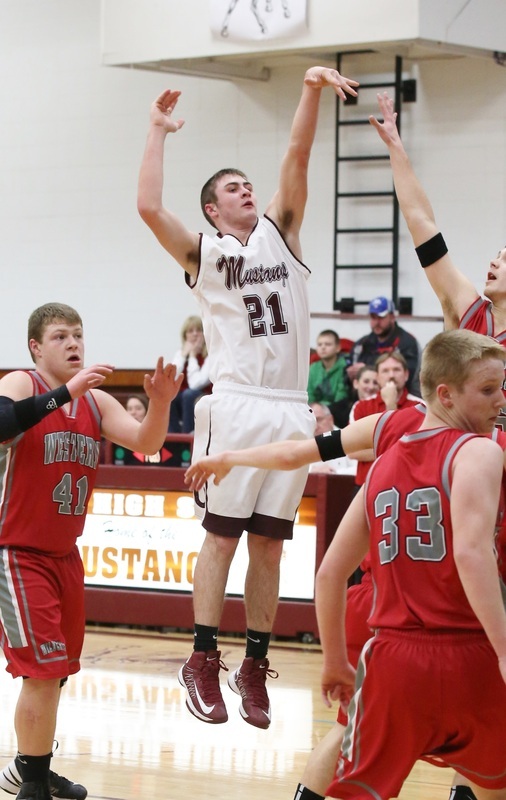 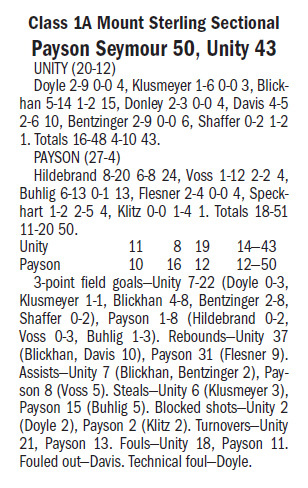 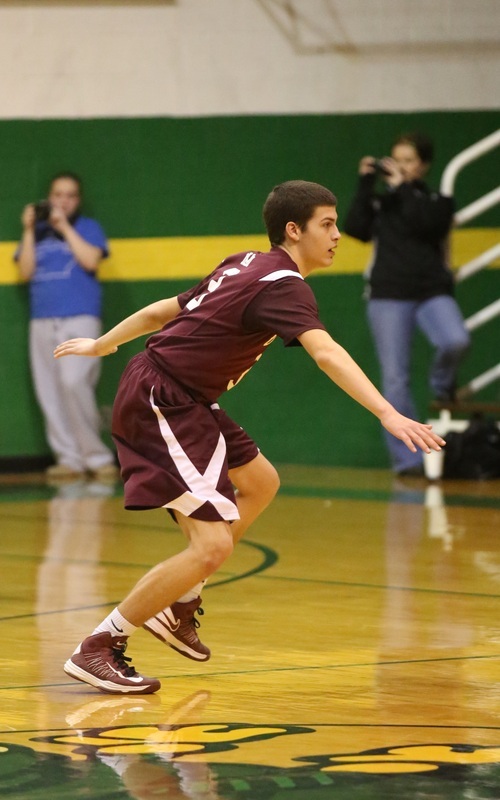 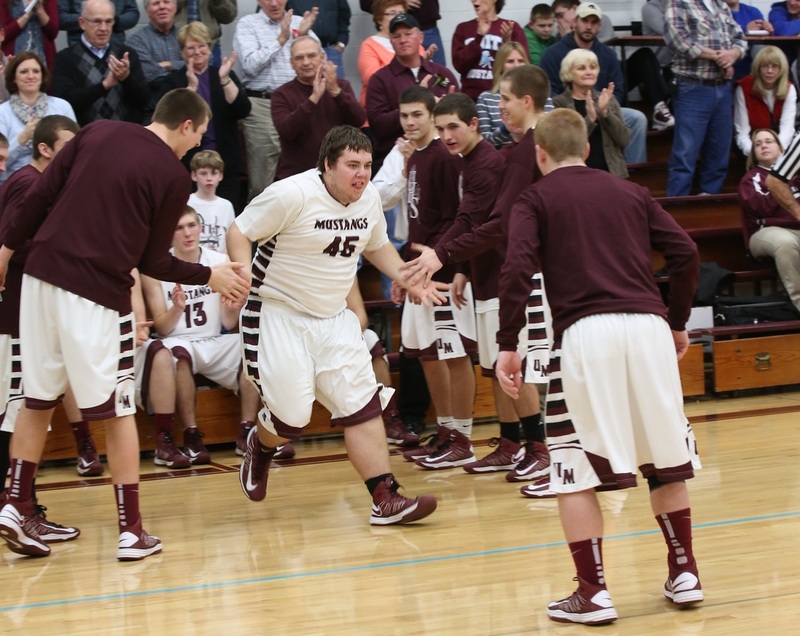 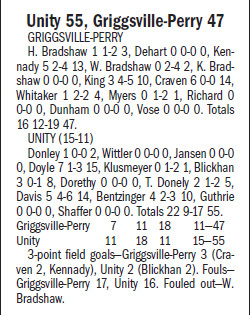 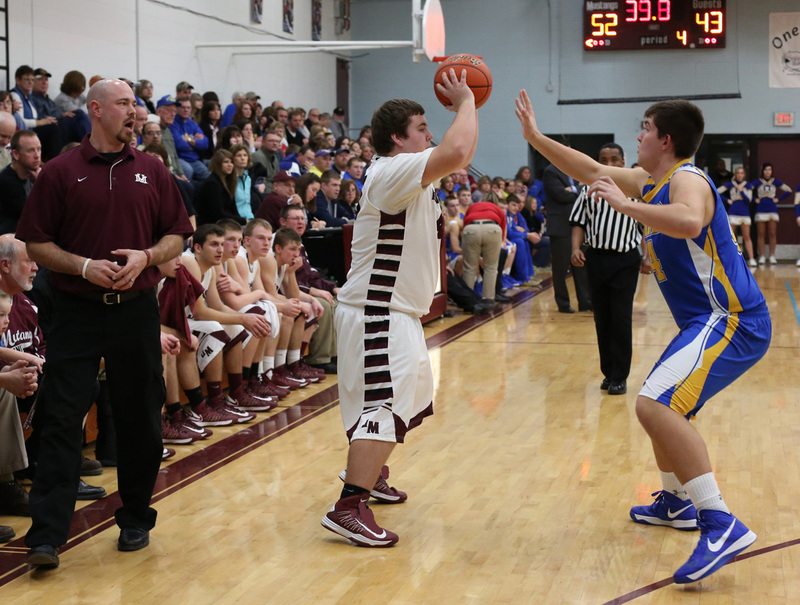 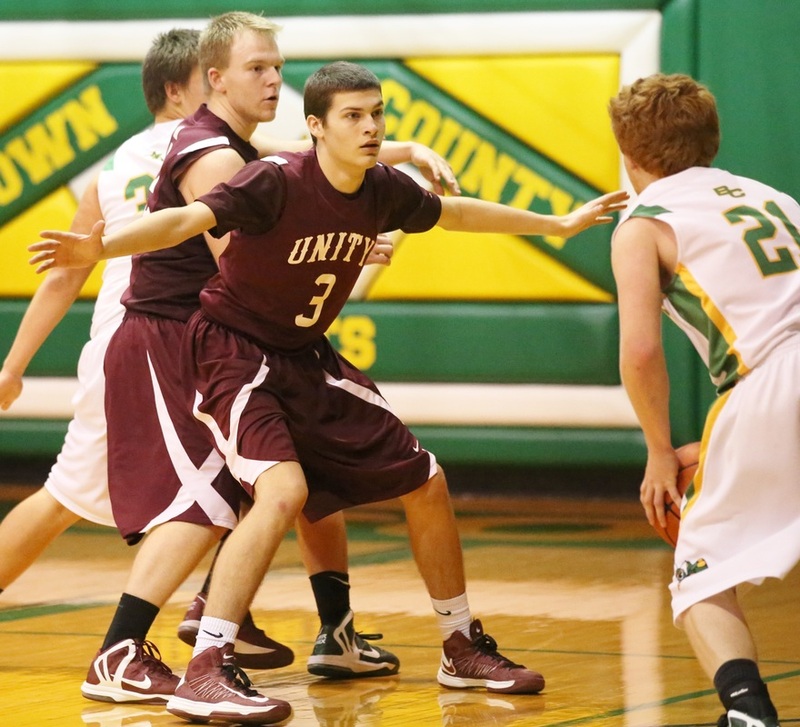 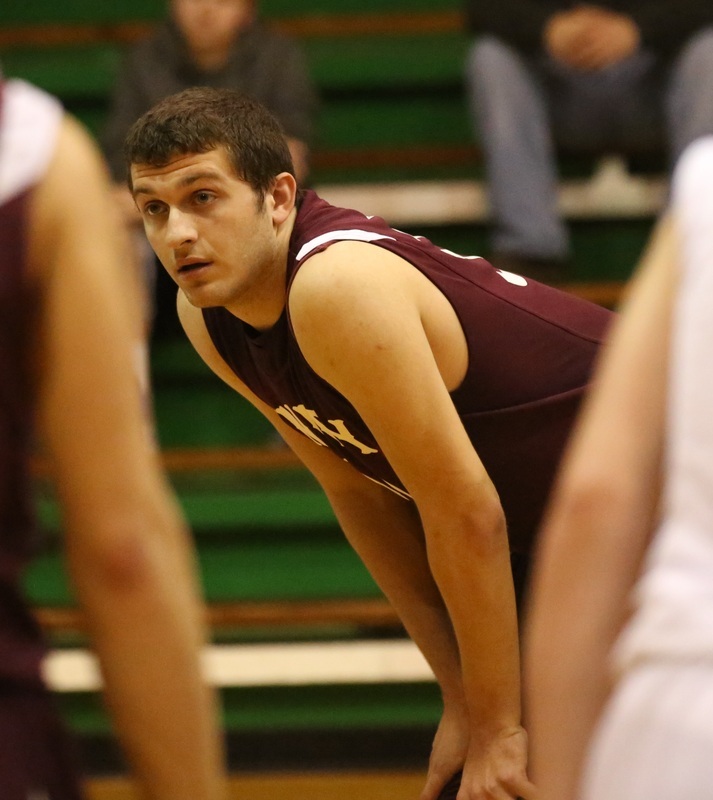 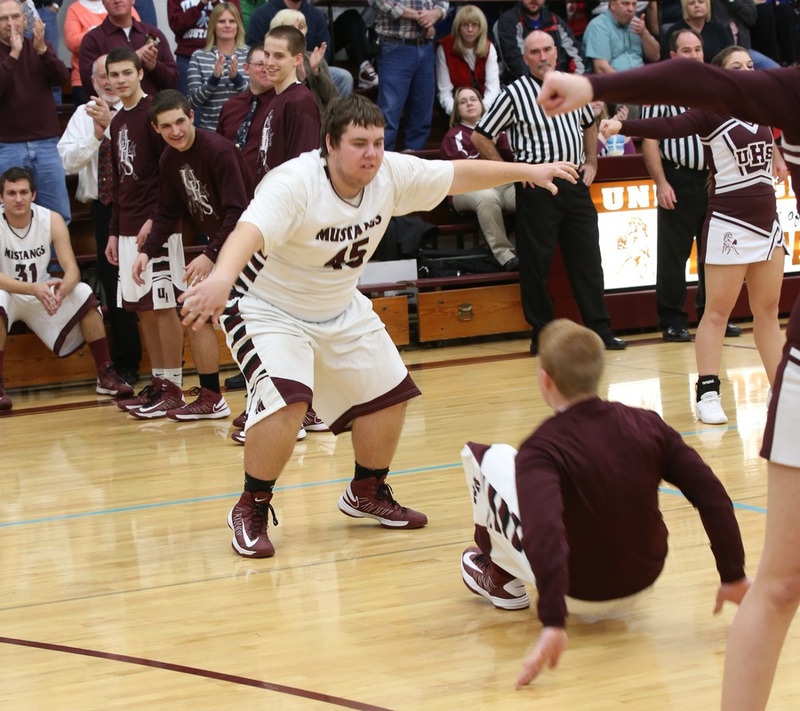 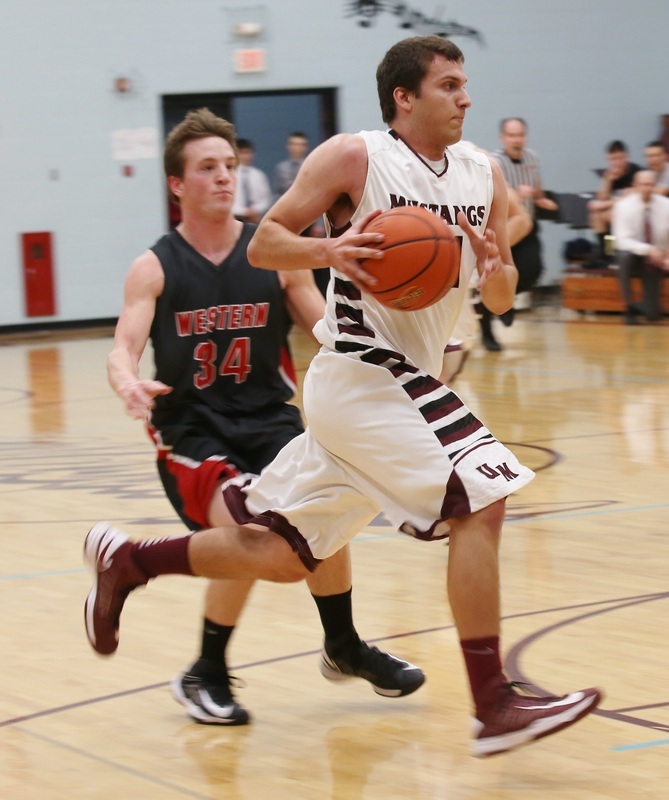 Will Klusmeyer topped the Mustangs with 16 points, while 6-5 center Lane Davis added seven points and two blocks. 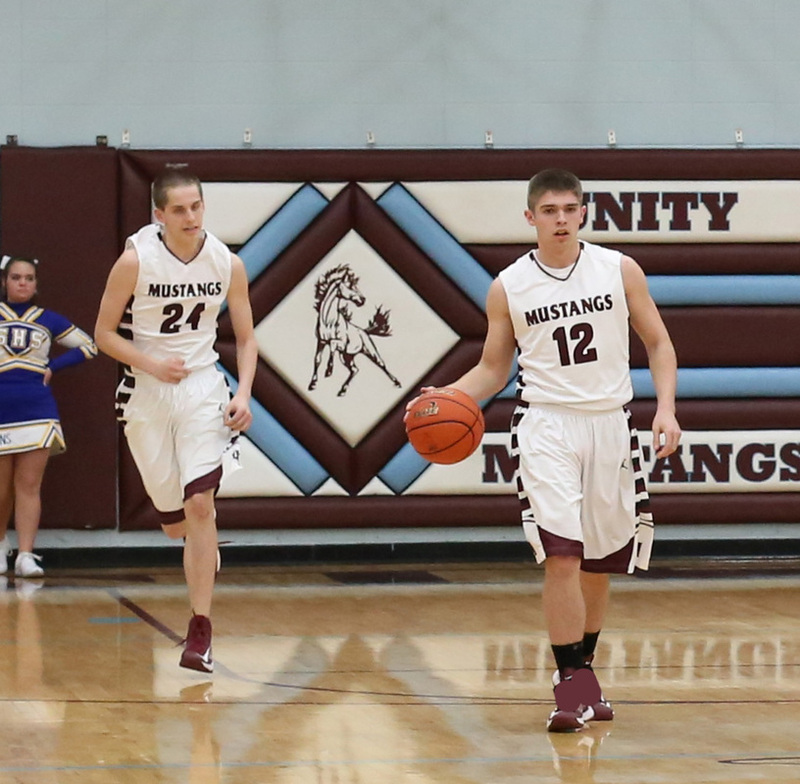 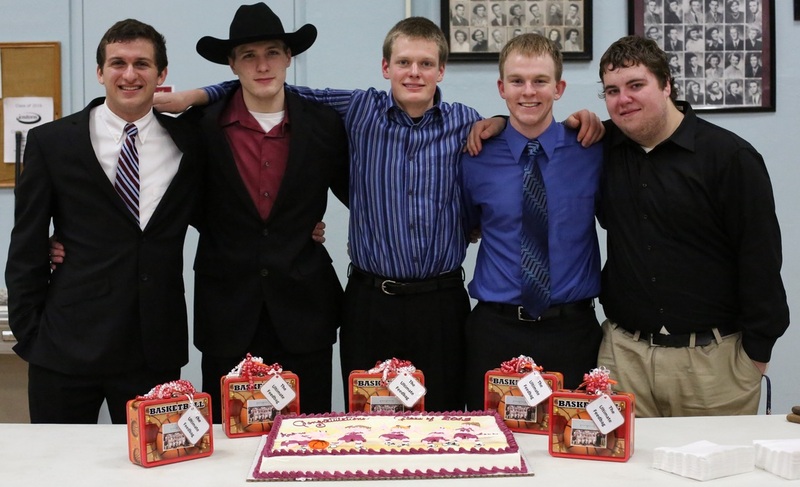 In addition to Klusmeyer and Davis, the junior-dominated Mustangs lean on Andrew Doyle and Alex Blickhan. 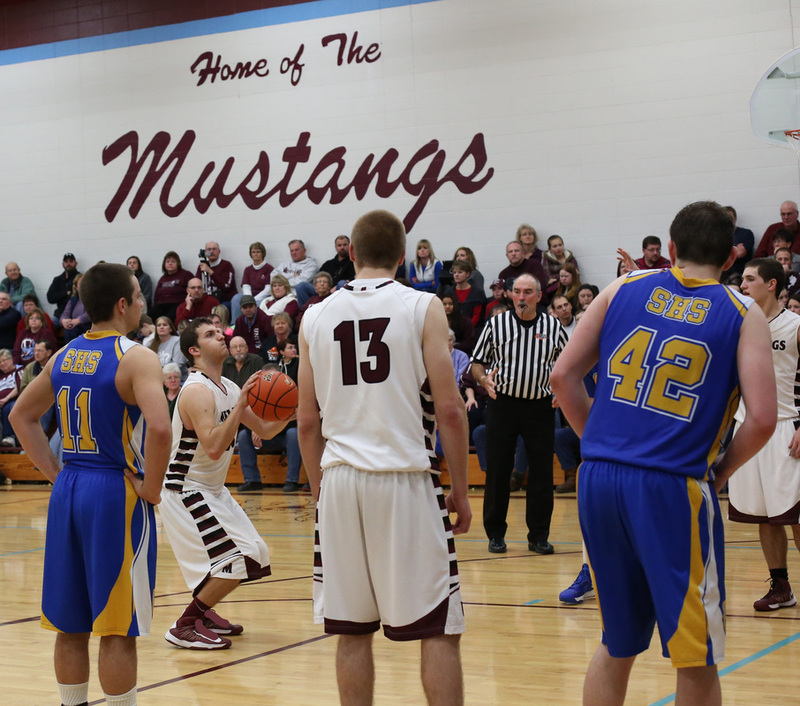 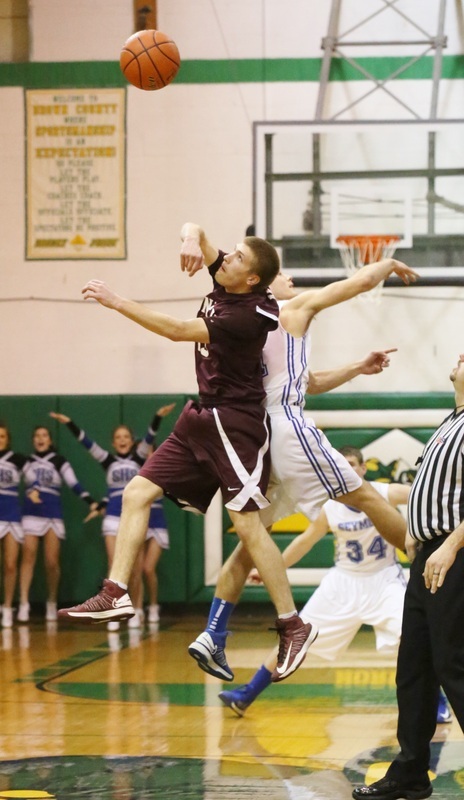 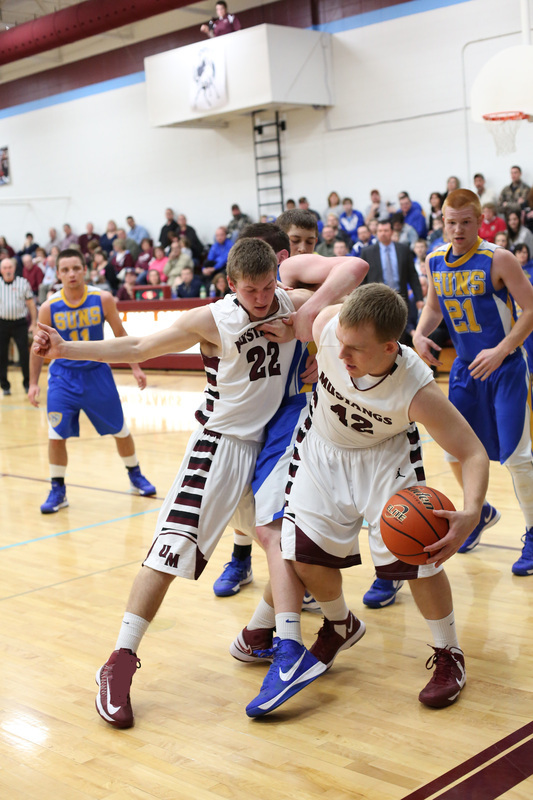 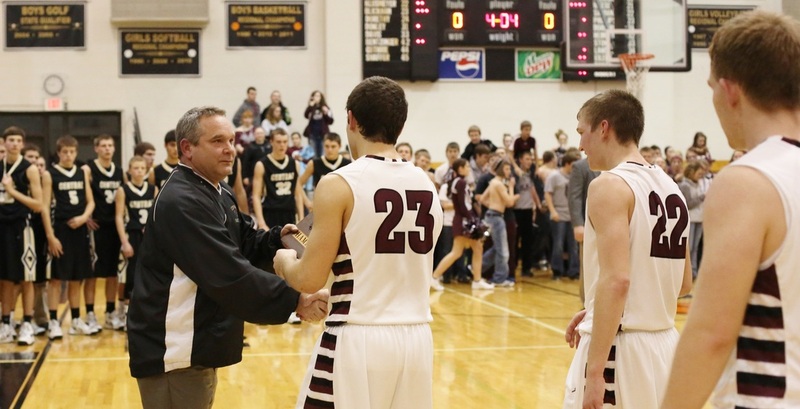 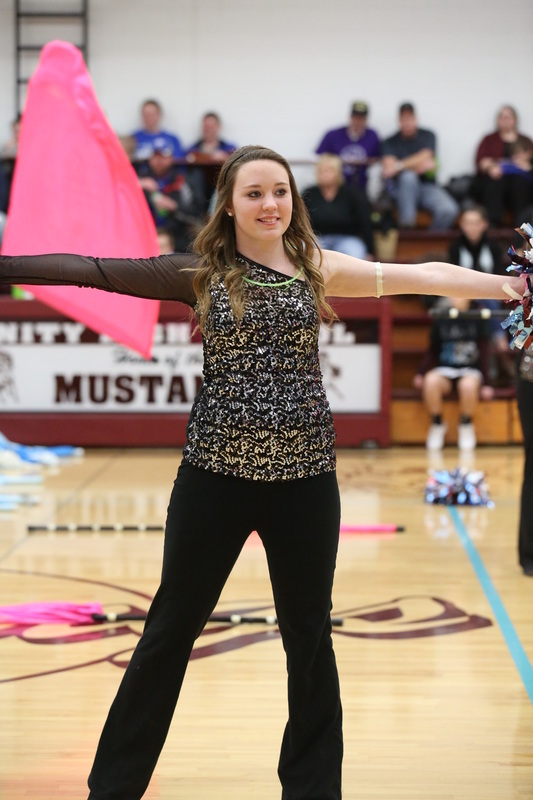 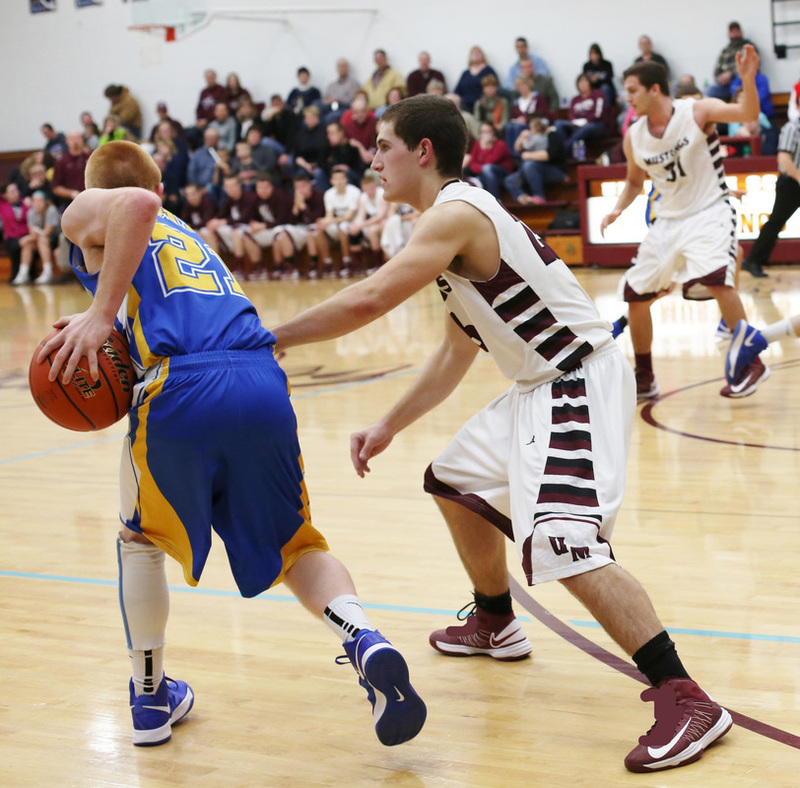 Parsons said the Mustangs are similar to a Riverdale squad the Geese defeated at the Erie’s Warkins Cardinal Classic. 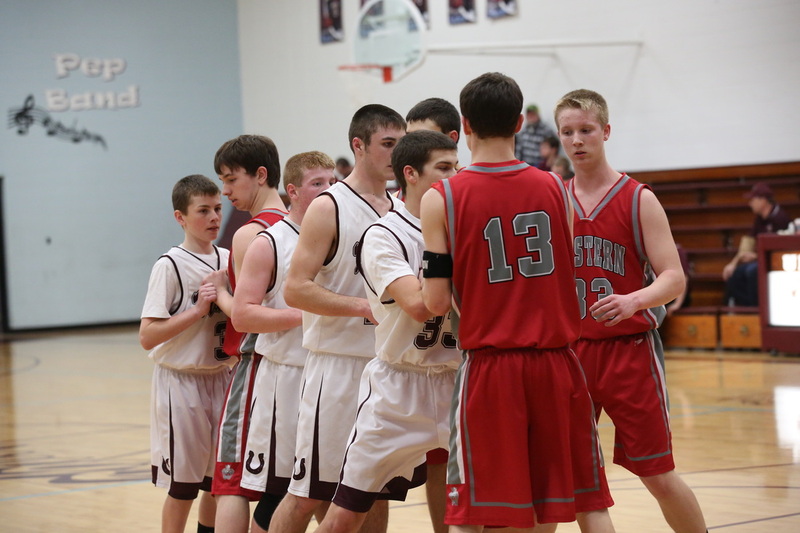 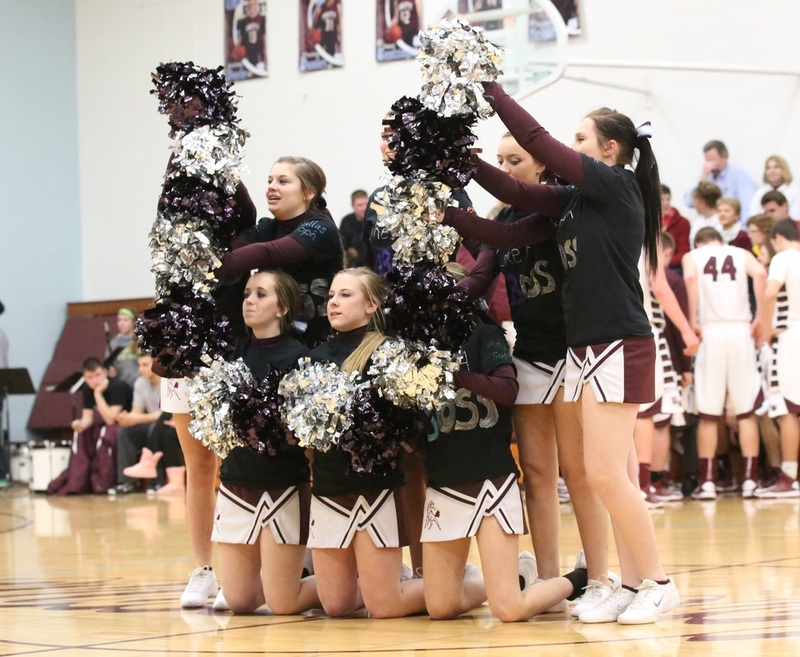 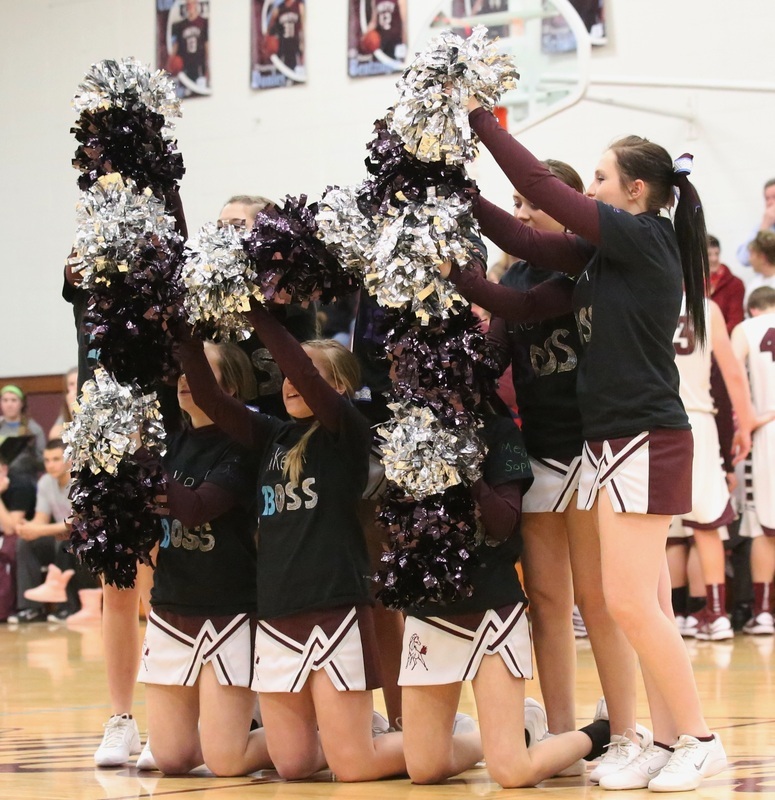 “They like to push the ball and so do we,” said Parsons. 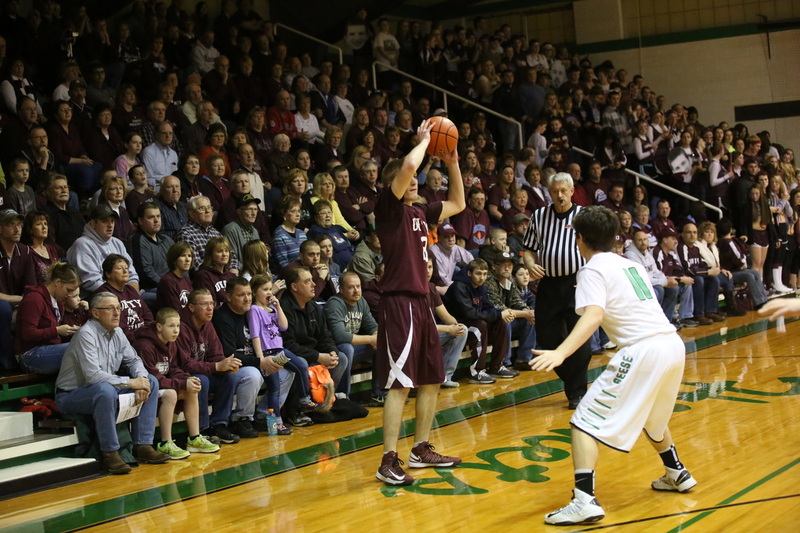 Wethersfield’s regional title served as a nice rebound from a late-season three-game skid. 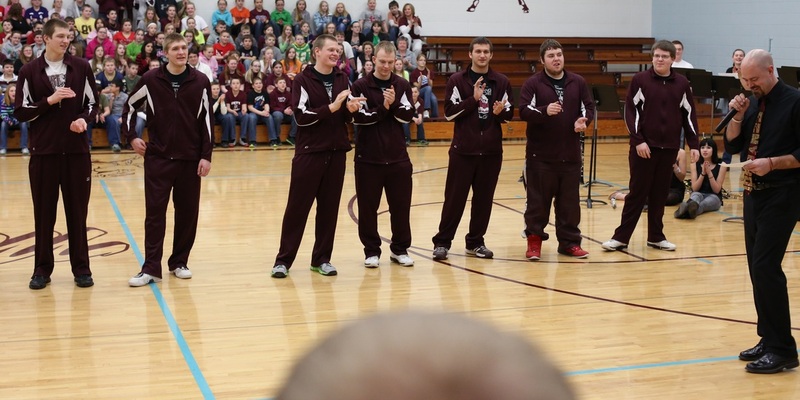 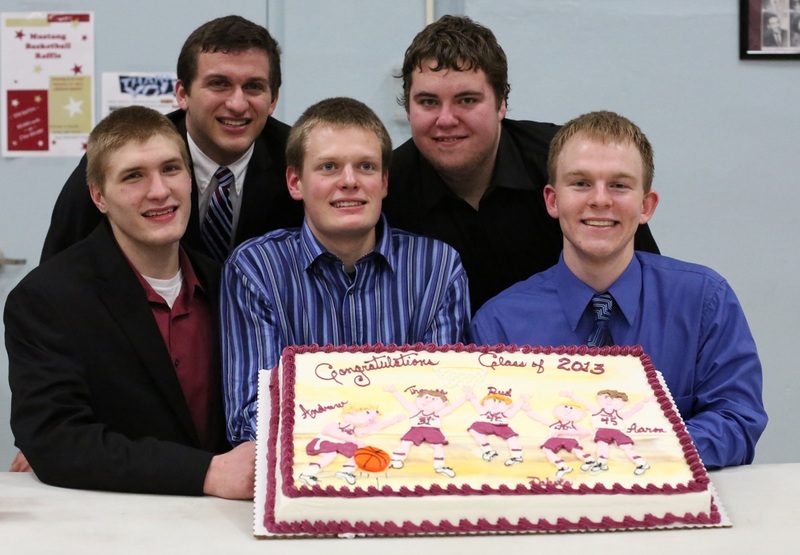 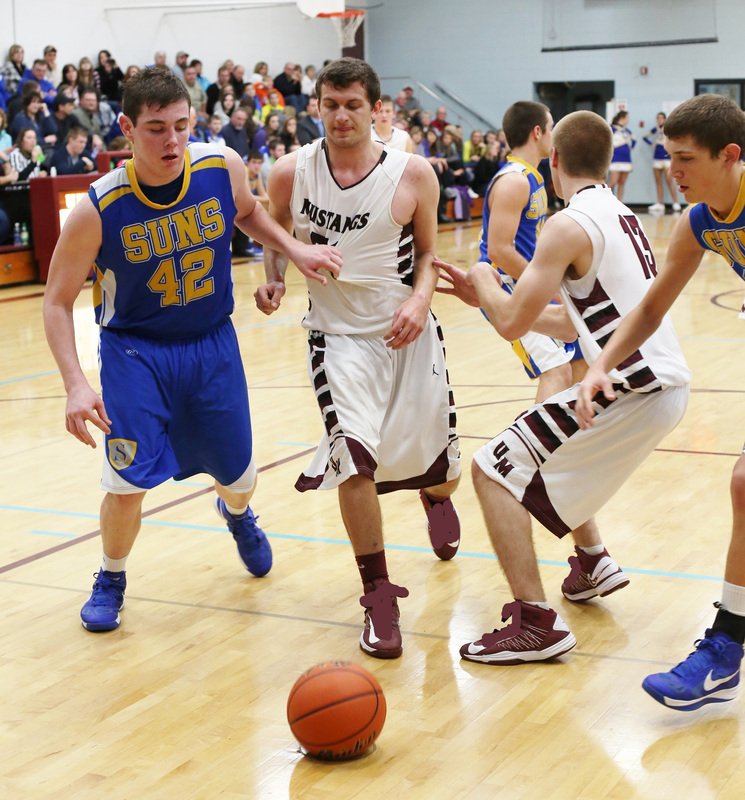 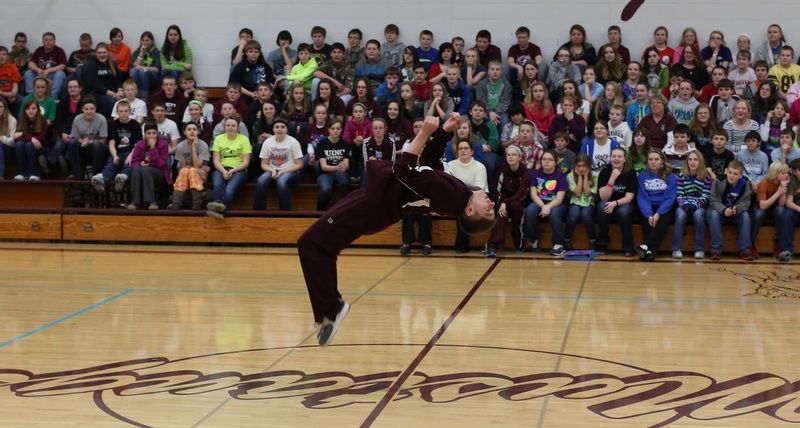 The Geese dropped games to Galva, Stark County and Orion by 10 points. 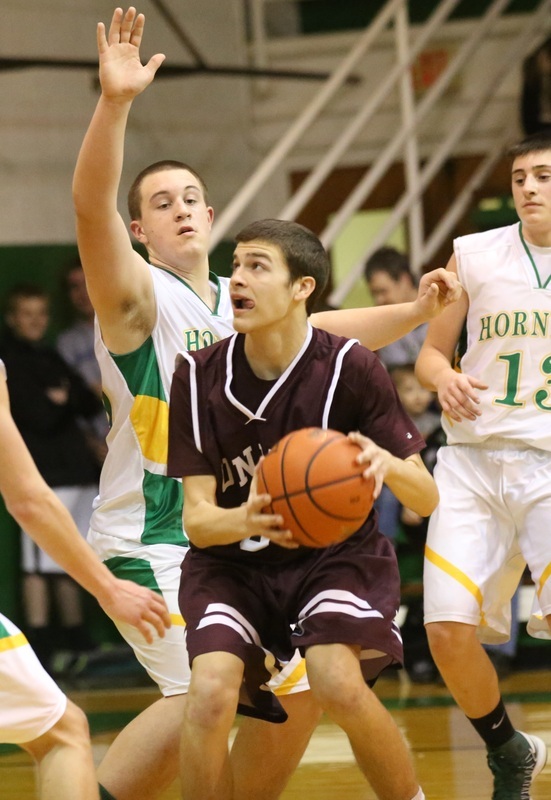 The veteran Wethersfield boss knows his team has responded well in tourney action this season. 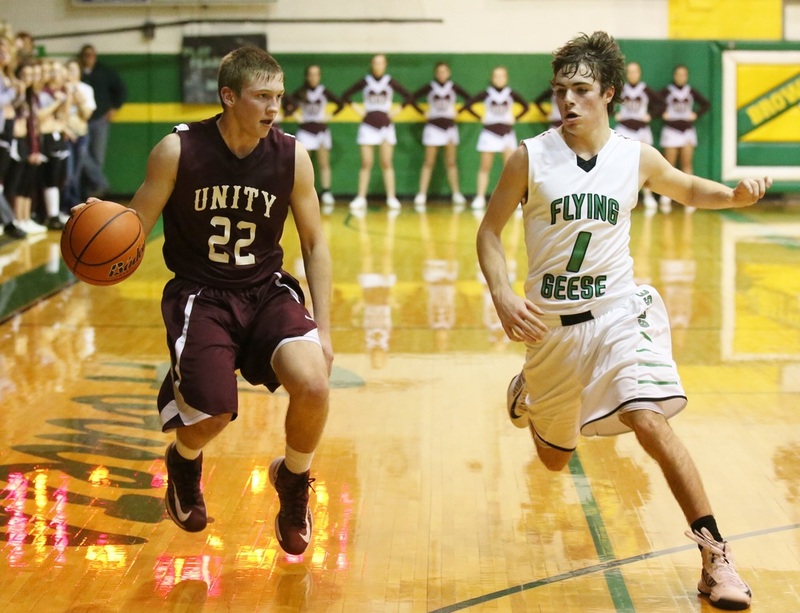 The Geese are 14-1 with titles from their own Wally Keller Invitational, the Lincoln Trail Conference Tournament and the ROWVA Regional. 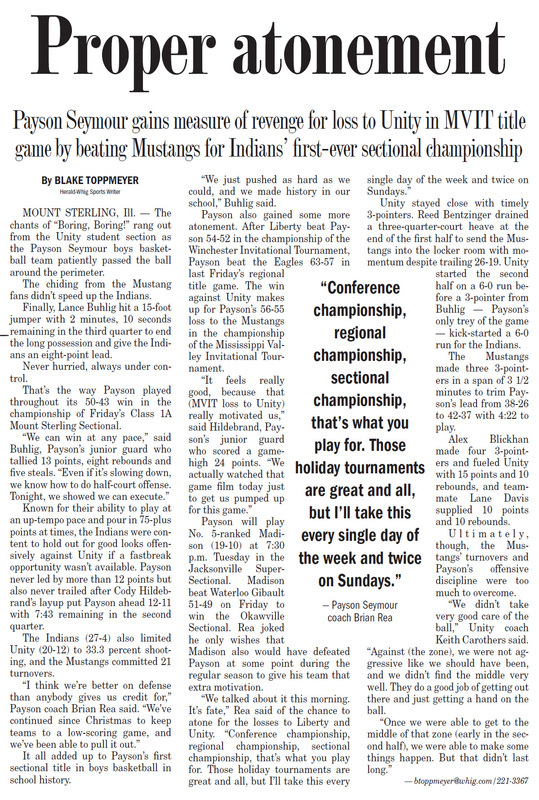 Parsons outlined the keys to his team’s success at Mt. 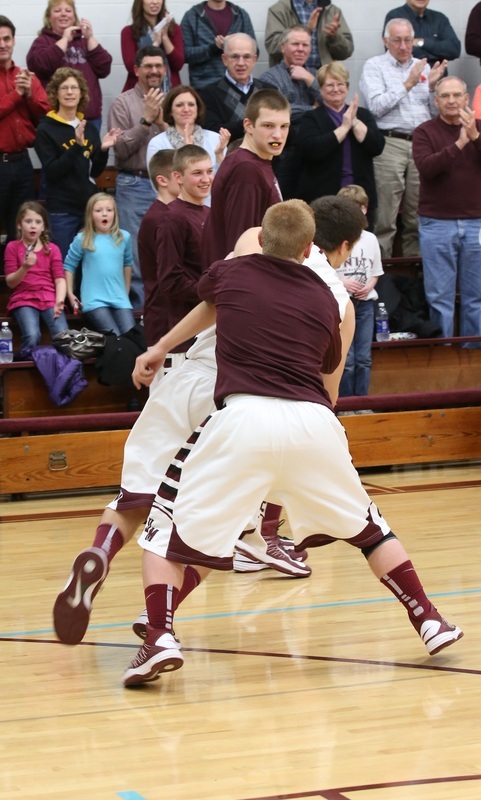 Sterling. 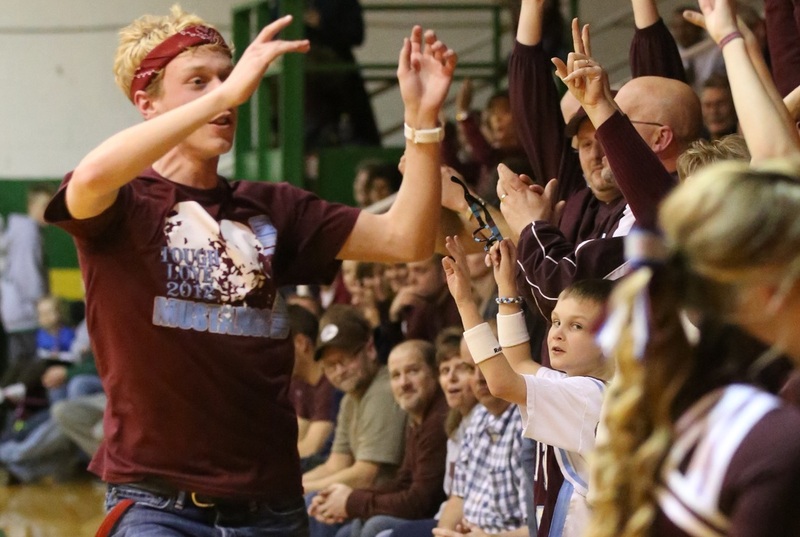 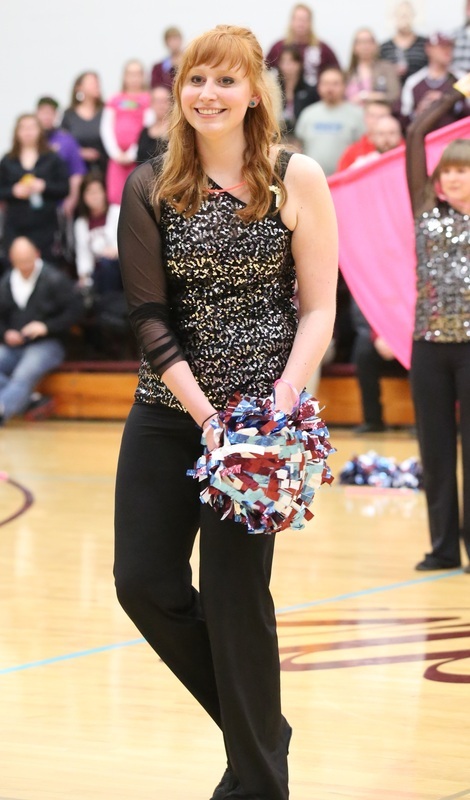 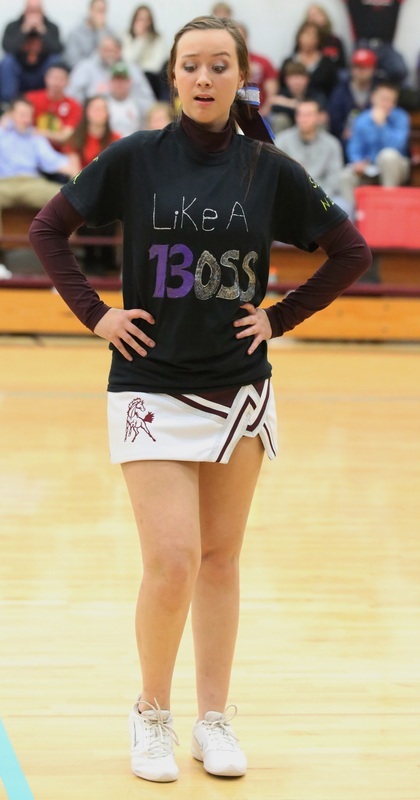 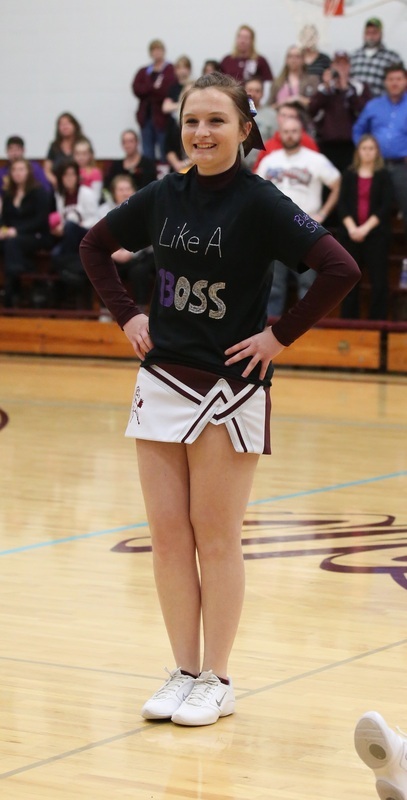 The winner of the Brown County Sectional advances to the Jacksonville Super-Sectional Tuesday, March 5, to play the Okawville Sectional champion. 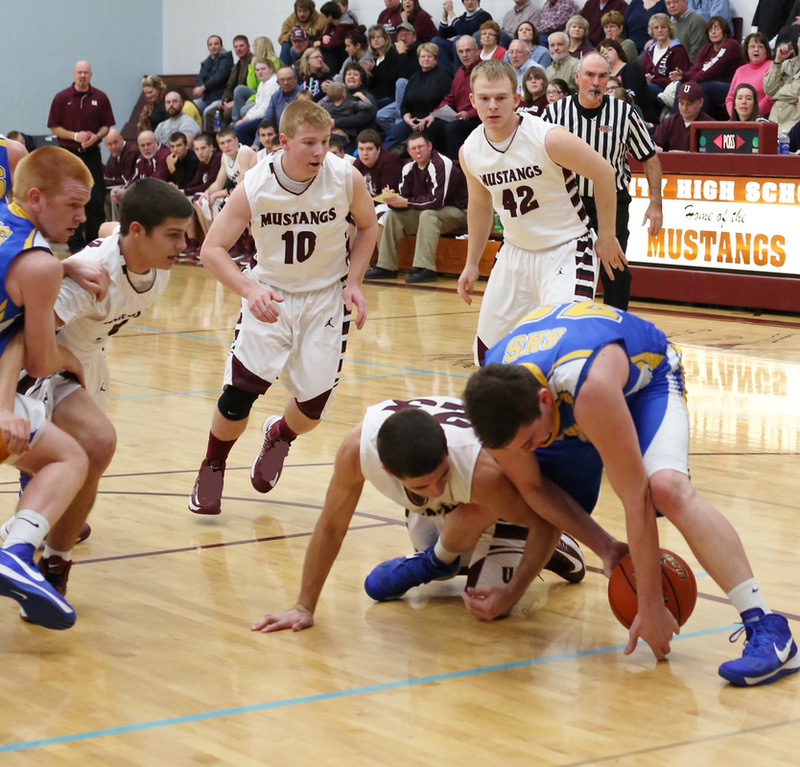 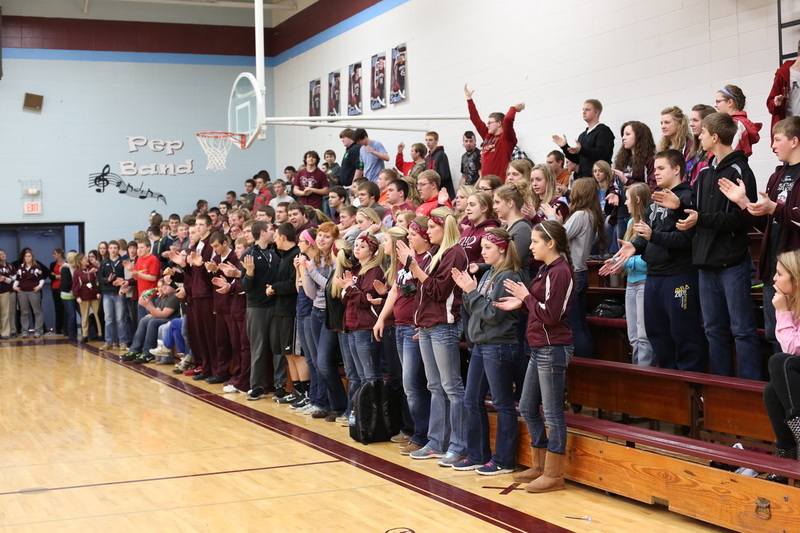 The field at Okawville features Waterloo Gibault vs. New Berlin and Edinburg vs. Madison. 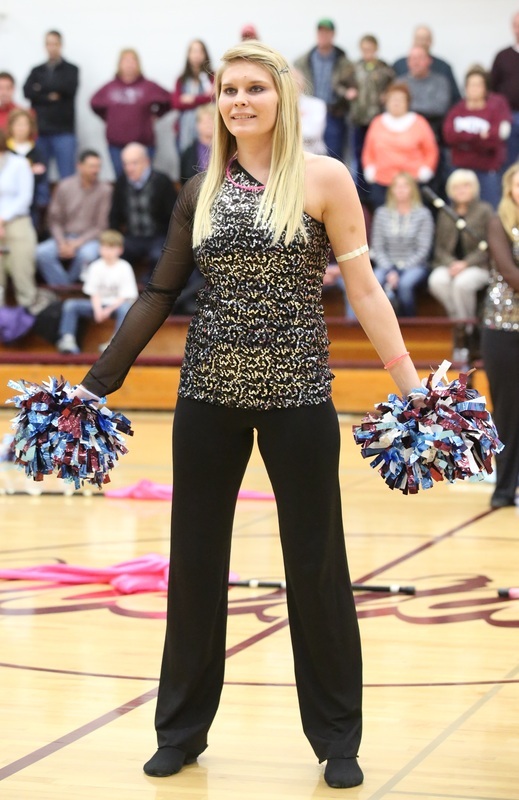 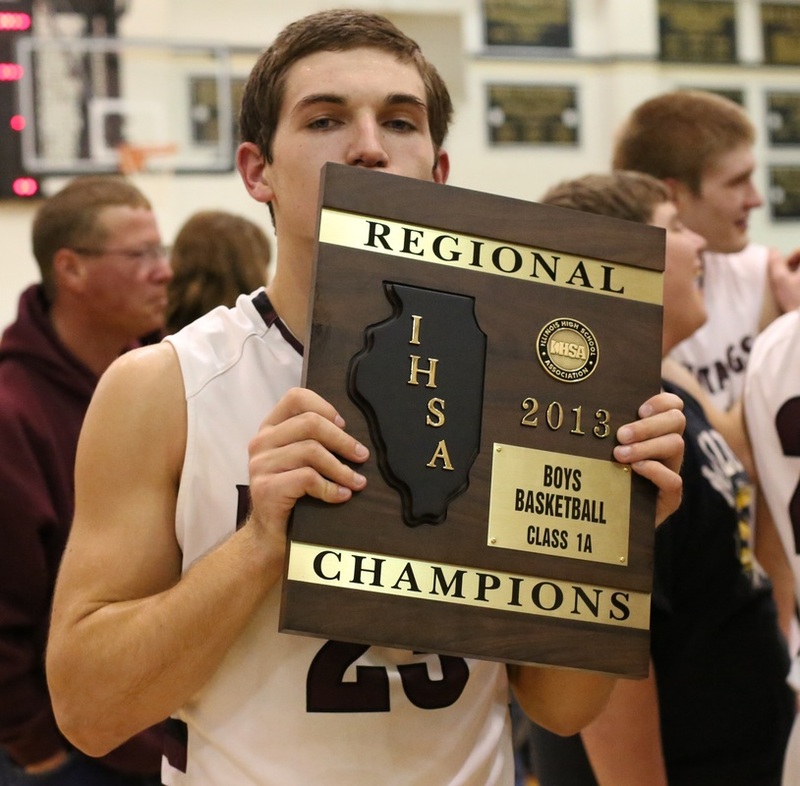 Congratulations to Thomas for advancing to Sectionals in the 3 point showdown!